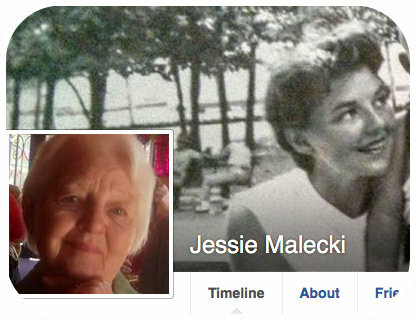 Jessie Malecki has lived in her Stockade house on North Street her entire life – more than 90 years. Earlier this month, the Gazette published another of her strong, insightful Letters to the Editor. Jessie’s topic this time was ending the unnecessary removal of our valuable street trees. At the top of this post are two salient quotes from the Letter, which is copied in full below and well worth your perusal. 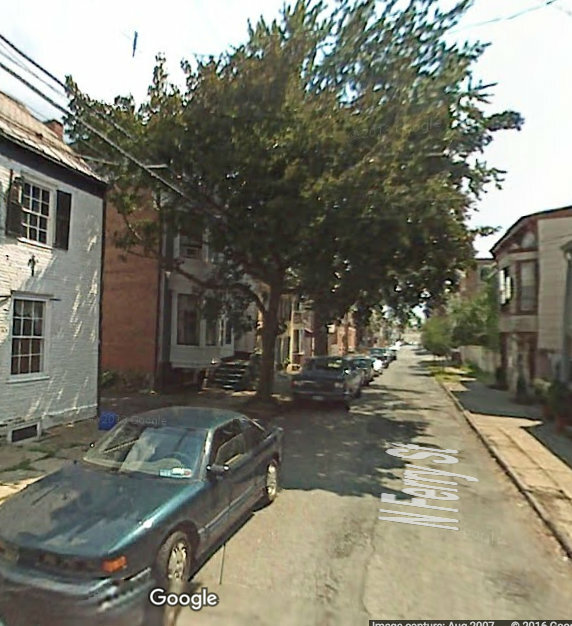 Jessie mentioning the prior existence of large street trees on North Street sent me searching yesterday afternoon for old photos of the one-block, one-lane thoroughfare, which runs north from Front Street to Riverside Park, just east of Lawrence Circle. In my brief exploration, I was able to locate only one photo, at the Schenectady County Historical Society. 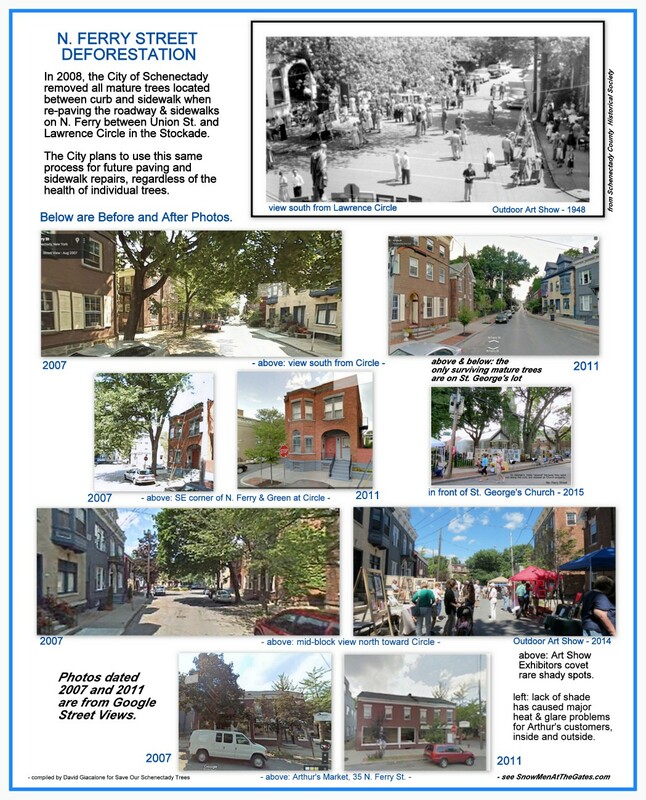 It is shown immediately below, in a collage that features the March 1914 picture alongside a photo taken last week by me of the now “naked” North Street, looking north from mid-block. (Click on the collage for a larger version.) As you can see, in 1914, flooding caused by ice jamming deposited ice floes and chunks well down the block. 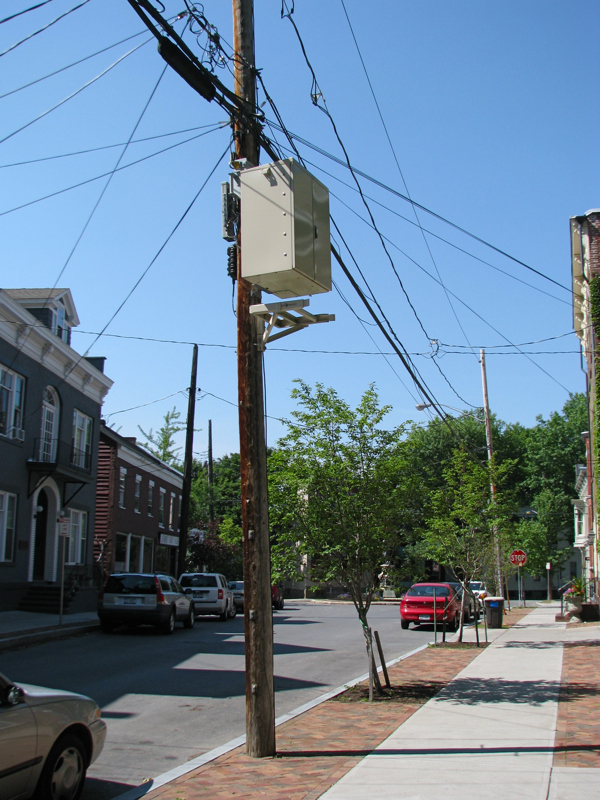 The angle is not optimal for viewing the curbside trees, but they clearly outnumber the current array, which is basically comprised of the species poleis-utilitus (utility poles). I’m sorry I could not find more old photos from North Street. If you have one, especially with the tree fully foliated, please let me know. . . above: 1914 photo courtesy of Schenectady County Historical Society . . Thought people from my area would like to see North St. in 1914 (ten years earlier from my time – my house is the third down on the left) during the flooding, which in 8/28/2011 would be just about the 100 year flood. 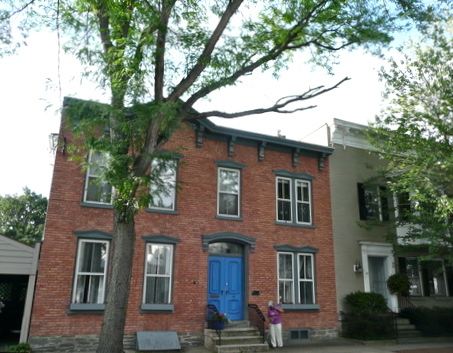 In the 2016 photo, Jessie’s house is the 4th house on the left, with the orange awning. Please join Jessie voicing your well-reasoned opinions at the Gazette, or local news medium of your choice. 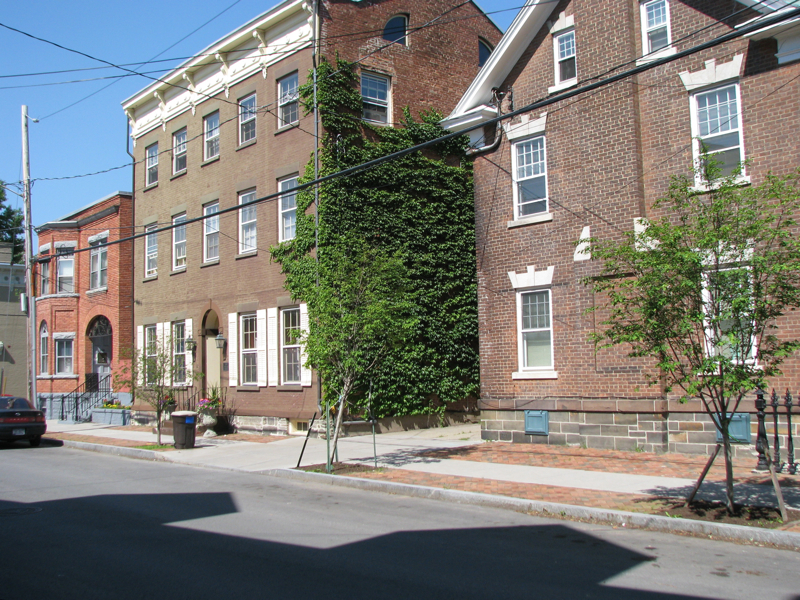 For more on our campaign to have a street tree preservation policy enacted in Schenectady, scroll down our web home page, and see our S.O.S. Trees portal. 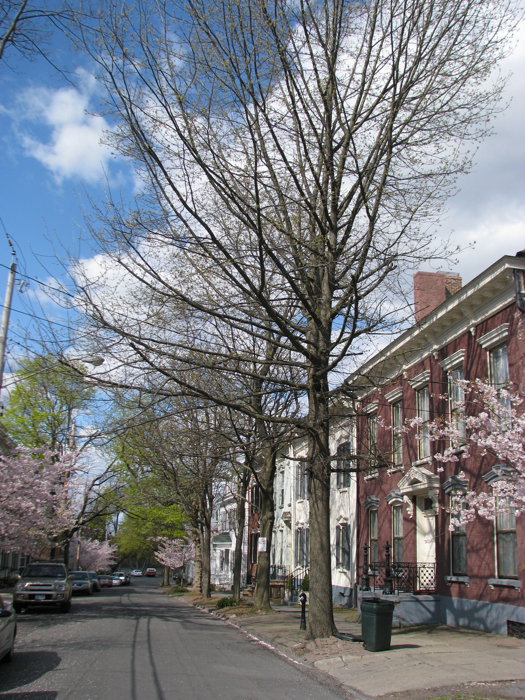 Schenectady, and especially its historic districts, are fortunate to have so many large trees along our streets. Cutting them down when it is not necessary is a terrible waste that makes our city less beautiful, inviting and healthy. Therefore, it is most important that a tree preservation policy be adopted and implemented for Schenectady so trees in the city’s right of way (between the curb and sidewalk, and in the medians) are preserved unless an individual tree is dead, dying or dangerous. That means alternatives to tree removal must be considered and employed, except where there is no viable alternative. 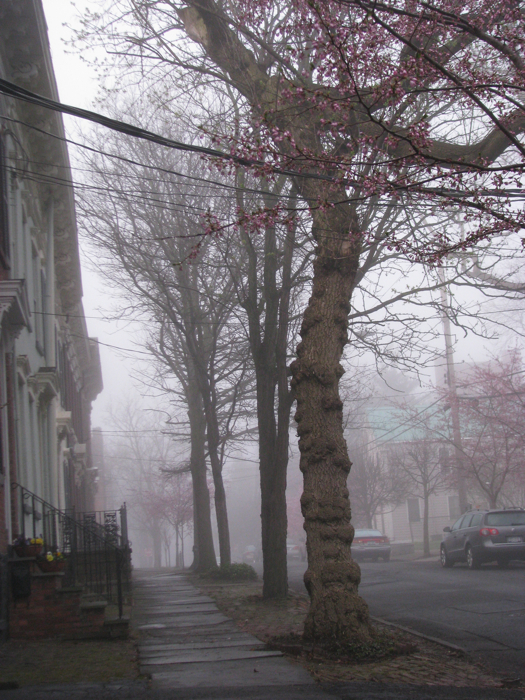 The Schenectady streets have many old beautiful trees which took years or centuries to grow. The city should not be able to remove them merely to repair a sidewalk and homeowners should not be able to have them removed for frivolous reasons. There should be no excuse to cut down a healthy tree because it causes litter to the homeowner. Trees not only bring shade to our homes but beauty to our landscape. I remember many years ago when North Street had many beautiful large healthy trees that were cut down. The street has some small trees which will never replace the huge trees. The street looks naked without those gorgeous trees. 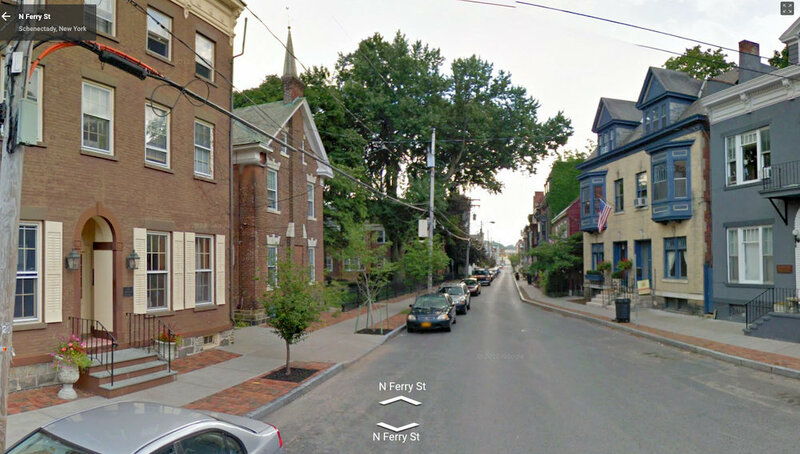 North Ferry Street was so beautiful with their large trees but they were all cut down to replace the sidewalks. Fortunately, St. George’s Church property has some gorgeous, huge trees. Walking on Washington Avenue, it is a delight that the large trees were not eliminated because of the outcry of the residents there. I would rather “watch my step” on uneven sidewalks than walk down a street without the shade and beauty of those large trees. Both the Historic District Commission and the Planning Commission may initiate a study or make recommendations for new policy, laws or regulations and it should do so, even if not specifically requested by the mayor or City Council. If you would like to preserve our Schenectady trees, email Chuck Thorne at Cthorne@schenectadyny.gov and he will distribute your letter to the mayor and City Council on your behalf. Or write: Chuck Thorne, City Clerk at City Hall, Jay Street, Schenectady, NY. 12305. Everyone loves trees on Arbor Day. But, what happens the day after Arbor Day? 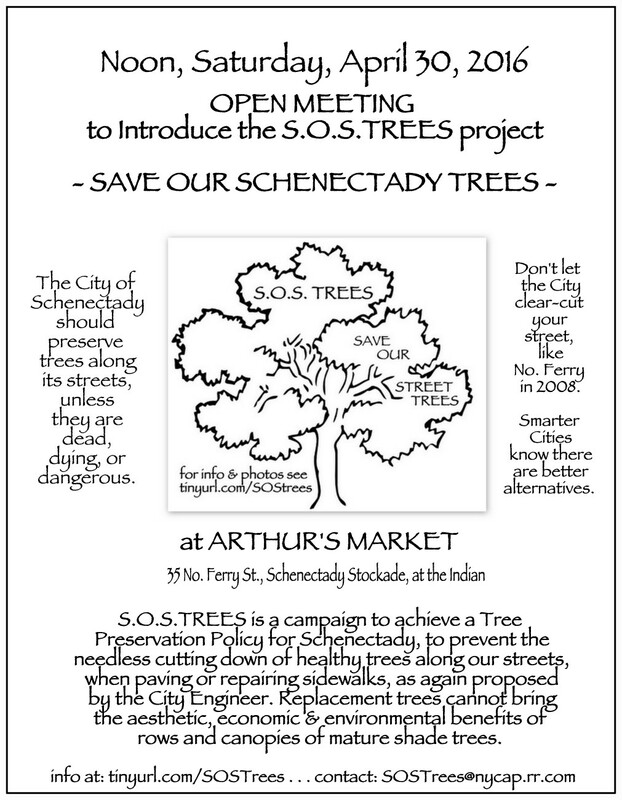 This year, on the literal Day After, Saturday, April 30, 2016, a group of Schenectady residents who appreciate the ways our urban forest can enhance the quality of our lives, came together at Arthur’s Market in the Stockade for the inaugural meeting of Save Our Schenectady Trees [S.O.S. Trees]. 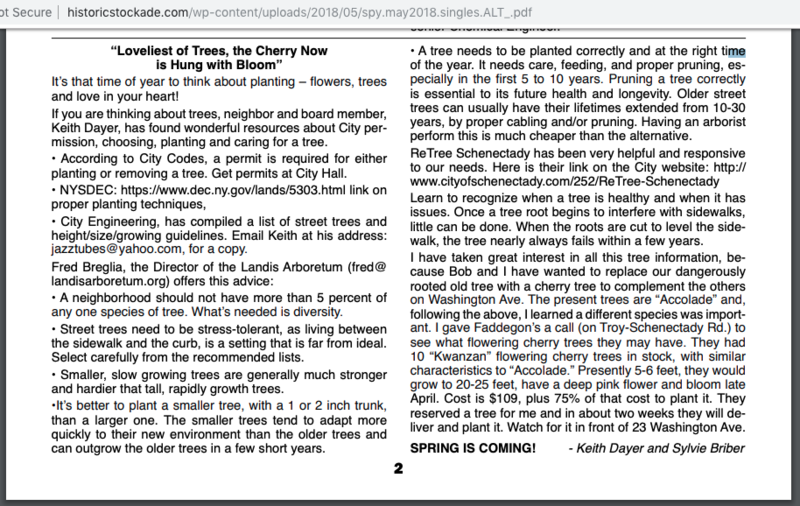 This posting contains many of the materials presented at that Meeting, provides analysis, shares a few pictures from the event, and asks what we should be doing all the Other Days After Arbor Day to help achieve a Street Tree Preservation Policy for Schenectady. 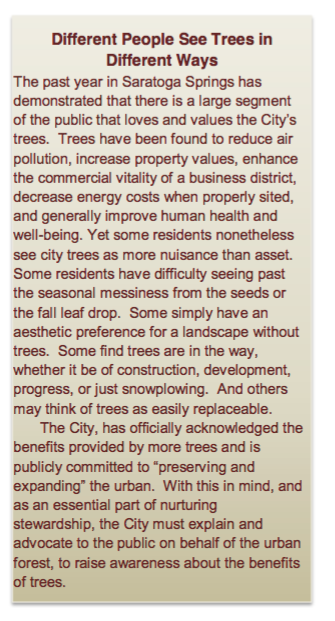 the omission from the City’s Tree Master Plan of the preservation concept, despite Schenectady’s status as a Tree City. a real-life Show & Tell performed right outside the door of Arthur’s Market, as we stood in the shadeless noon sunlight and looked south up the once-shady N. Ferry St.
the Special Value of Large Trees: Size Matters. Replacing large trees with small ones is a waste of a precious resource and a poor investment, which cannot be reversed. Alternatives to Tree Removal that are proven effective and efficient, and often less-expensive when repairing or replacing sidewalks. 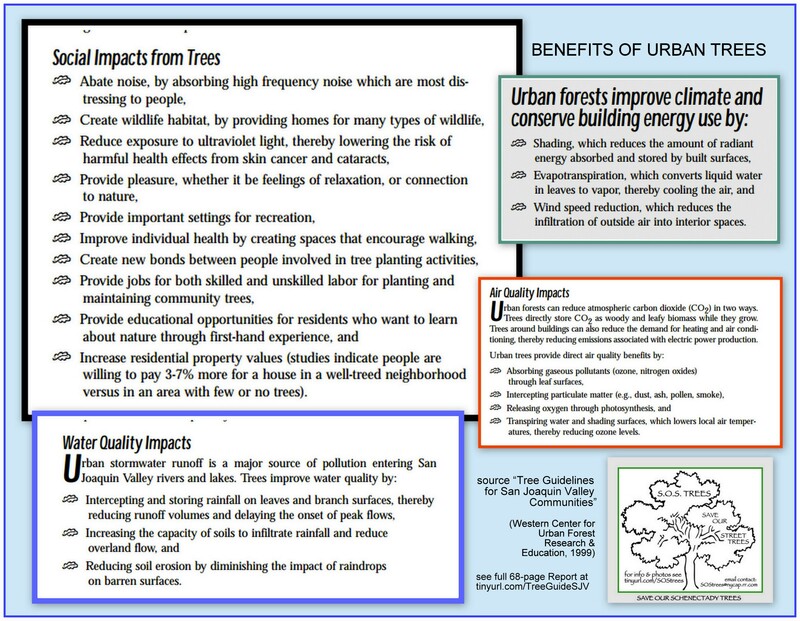 Click each of the above images to see or print both sides of a handout outlining the major benefits derived from urban trees (“from Tree Guidelines for San Joaquin Valley Communities”, Western Center for Urban Forest Research and Education,1999; “SJV Tree Guidelines Report”). Avoidable streetside “deforestation” decimates those benefits, and cannot be justified by a general fear of liability or the convenience of property owners. For additional discussion of the Benefits of Urban Trees, see our posting “why worry about our large street trees?“. 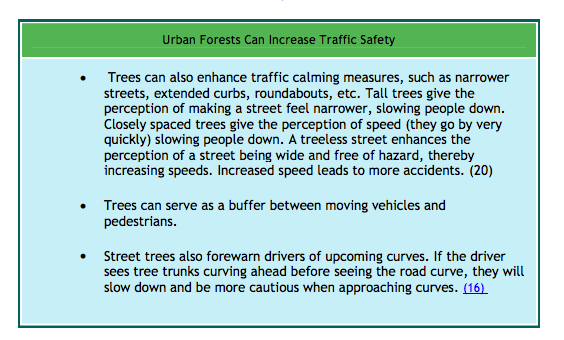 Also, the 17-page presentation on the Grand Pass [Oregon] website, “Benefits of Trees in Urban Areas” contains information and statistics, with charts, on topics such as the effects of trees on real estate values, traffic safety, asphalt savings, and (as excerpted in a 6-page pdf. file) on commercial businesses and consumer activity, sociological factors, and the adjacent homeowner. The Oregon study views trees as an important element of a city’s infrastructure, as major capital assets that must be cared for and maintained like any other valuable municipal property. 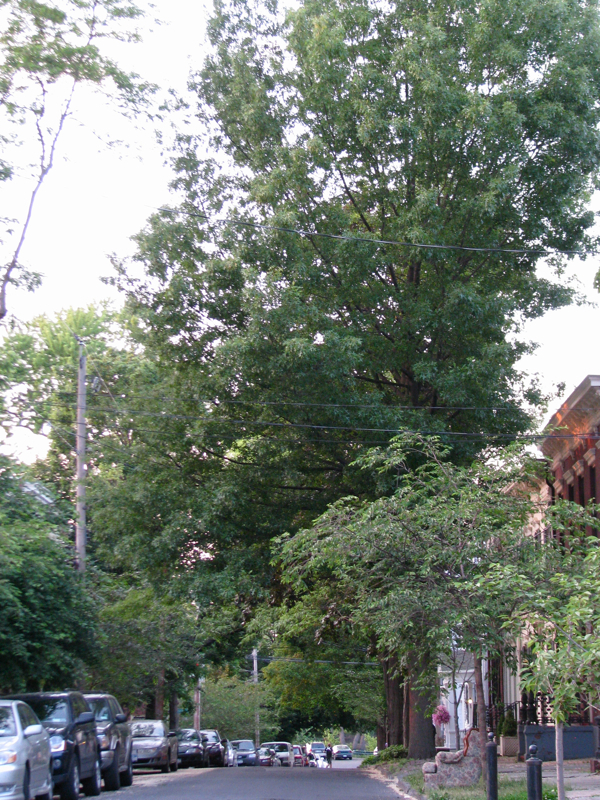 See “Schenectady needs a Tree Preservation Policy” for additional background and analysis, including Schenectady’s failure to include preservation in its Tree Master Plan, and discussion of cities choosing to give priority to retaining street trees. An important moment in the April 30th Meeting came when Rich Unger, a retired planner who is chair of the Stockade Association’s Infrastructure Committee, and working on a neighborhood Sidewalk Survey for the Association, stated his support for a City-wide preservation policy, which would be adopted in a City Council resolution after research, drafting, and consensus-building. Mr. Unger is, however, more optimistic than I that the City Engineer is willing to work to consider and permit alternative ways to repair sidewalks in order to save a tree. If true, that would make achieving a formal tree preservation requirement less urgent. 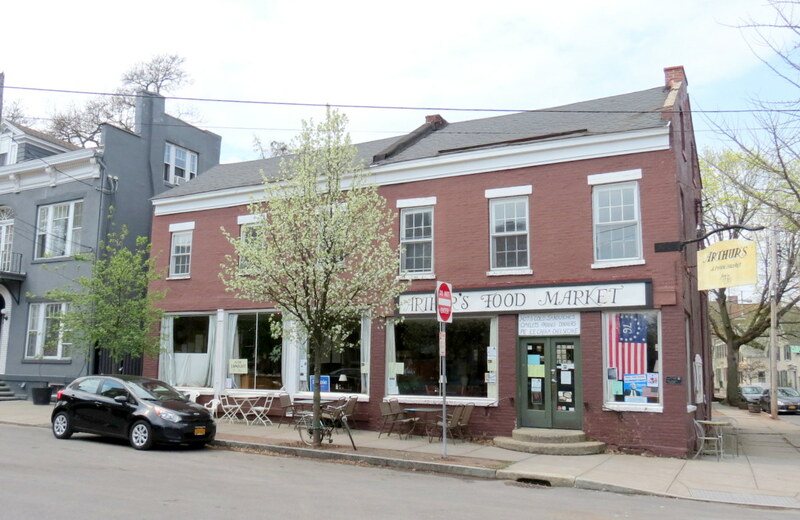 Rich Unger’s optimism is only realistic, however, if the City Engineer has changed the criteria applied by the Office in 2008 on N. Ferry St., and again in its Washington Ave. plan in 2010. 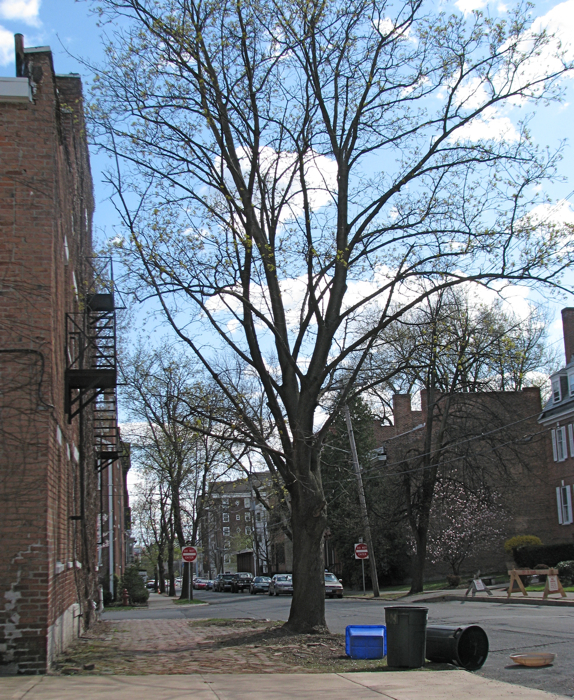 In both those instances, every large street tree was considered to pose too big a liability risk to leave in place, because root chopping during construction could damage the tree, making it more likely to topple in the future. It appears that no options other than removal were considered in 2008 and 2010 (such as rerouting or narrowing the sidewalk, ramping it, or leaving and monitoring healthy trees that had a sufficient portion of their root system intact), due to that fear of liability. 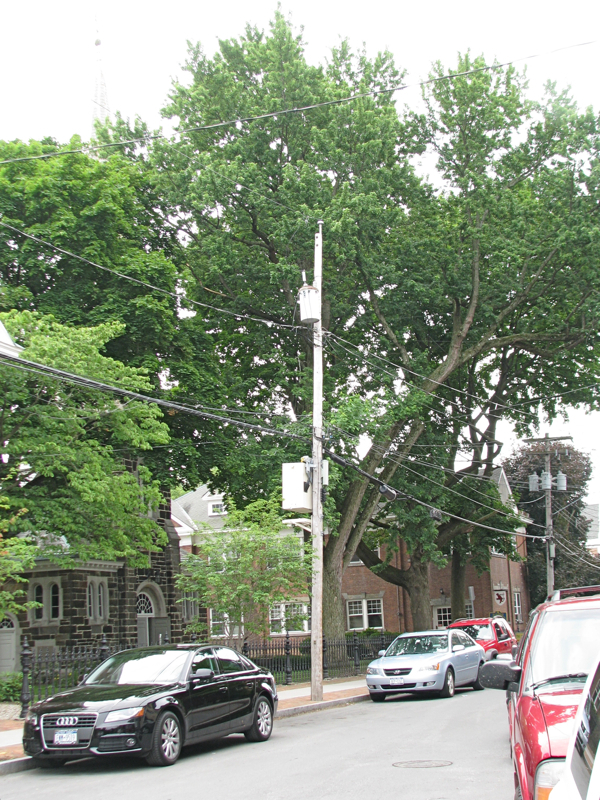 The continuing stress on liability by Assistant City Engineer Peter Knutson in recent correspondence (see our “why worry” posting), shows a reluctance to consider alternative repair options that continues to put large street trees greatly at risk. Thus, with the City voicing its preference to work a block at a time, doing the sidewalk work at the same time as repaving the road, as on N. Ferry St., we can expect that virtually every mature street tree will be slated for removal when the City “does” a block, unless other options are fully considered, and greater leeway given to retain (and monitor) an otherwise healthy tree after its root system is reduced. The way to avoid such a result is to promulgate a Tree Preservation Policy that requires the City arborist to determine in good faith, for each tree that is not dead, dying or dangerous, whether there is a viable option other than removing the tree. Virtually all of the benefits we receive from trees growing in our “urban forests” are directly related to their size — from cleaning air and water, cooling pavement, shading homes and reducing utility bills, muffling noise, and dampening traffic speed, to luring tourists, shoppers, and residents, with their beauty and shelter. This is a core message for S.O.S. Trees. 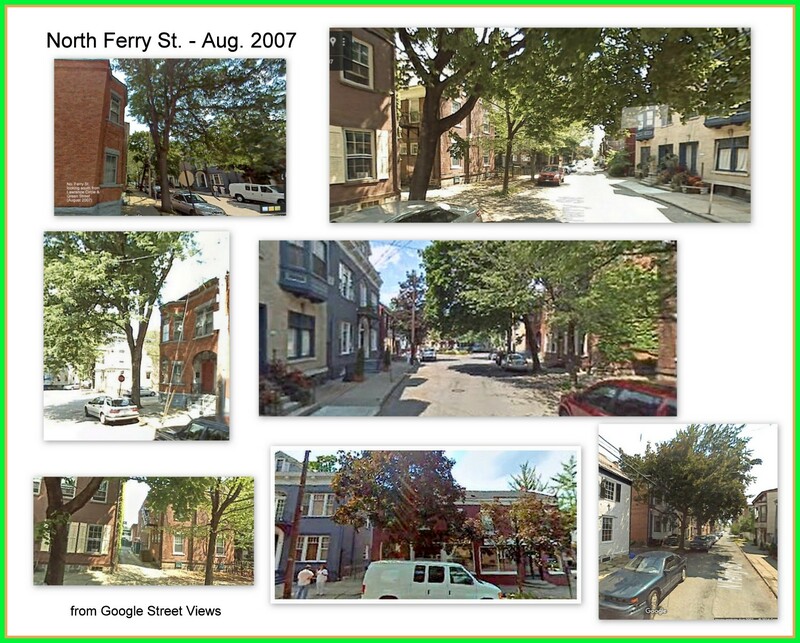 The handout sheet to the right shows a sampler of effects of removing all large street trees on N. Ferry St. in 2008. Planting the smaller replacement trees is simply a lose-lose situation, and not a defense that justifies removing healthy street trees.
. . . Size Matters. Click on the image to the left for a pdf. 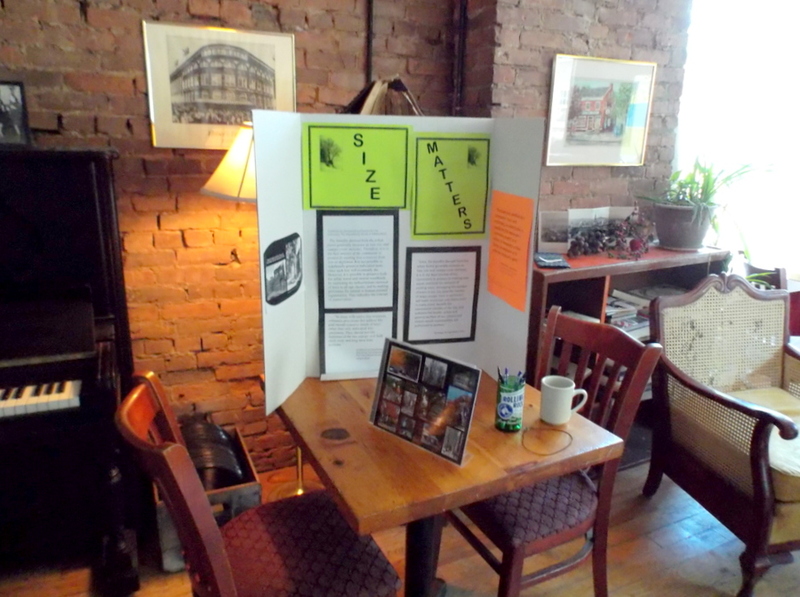 version of the Size Matters exhibit presented at our First Meeting. Each page has a large-font quotation from an expert concerning the relationship between the size of trees and the tree canopy and the resulting benefits to a community. For a fuller discussion of the issue, see the Size Matters section of our posting “why worry about our large street trees?“. 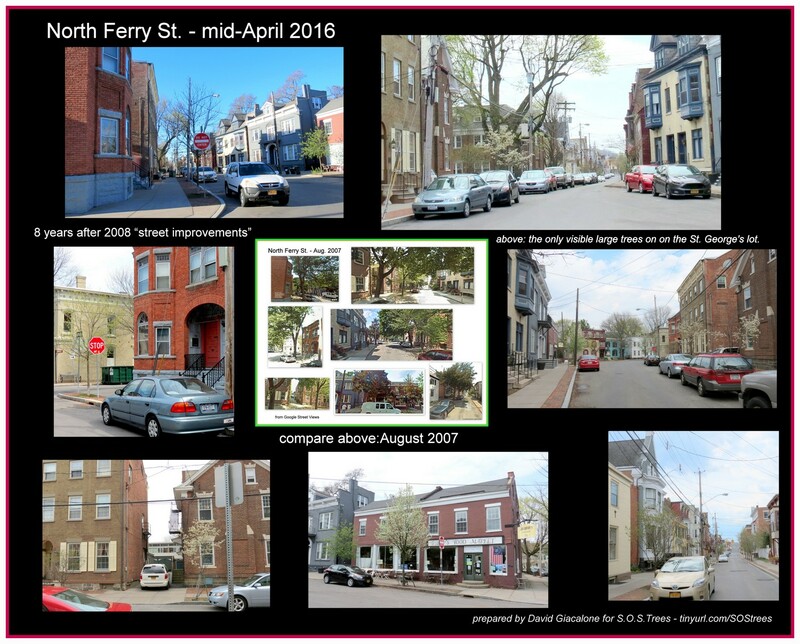 Example of a bad trade-off: 36 N. Ferry St.
. . 2007 . .
During an outdoor session, those attending the Meeting were also able, by looking down the streets that intersect Lawrence Circle, to see several at-risk blocks of Stockade trees. 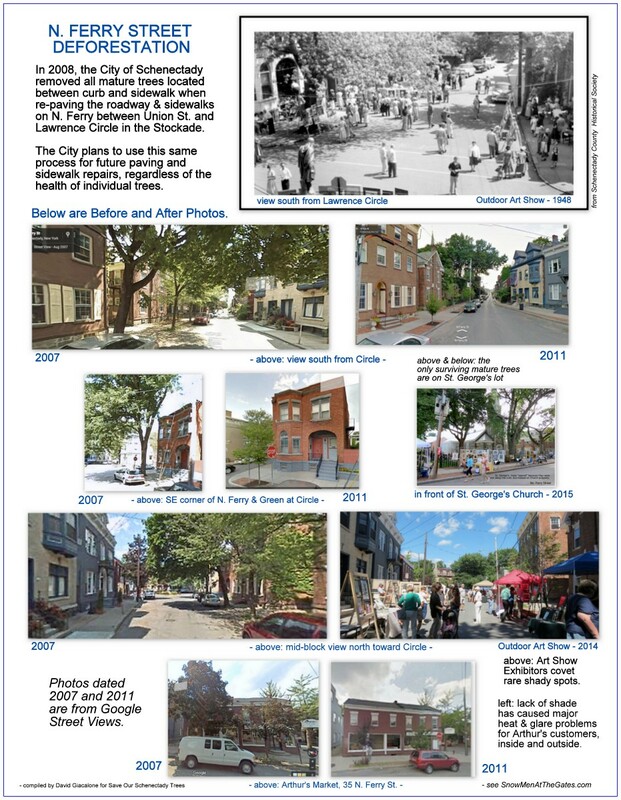 Each block has significant numbers of healthy or treatable street trees that deserve to be saved, even if they are standing alongside uneven or damaged sidewalks. .. above: an eastward view up Front St. and Green Street at Lawrence Circle, May 5, 2016 . .
. . 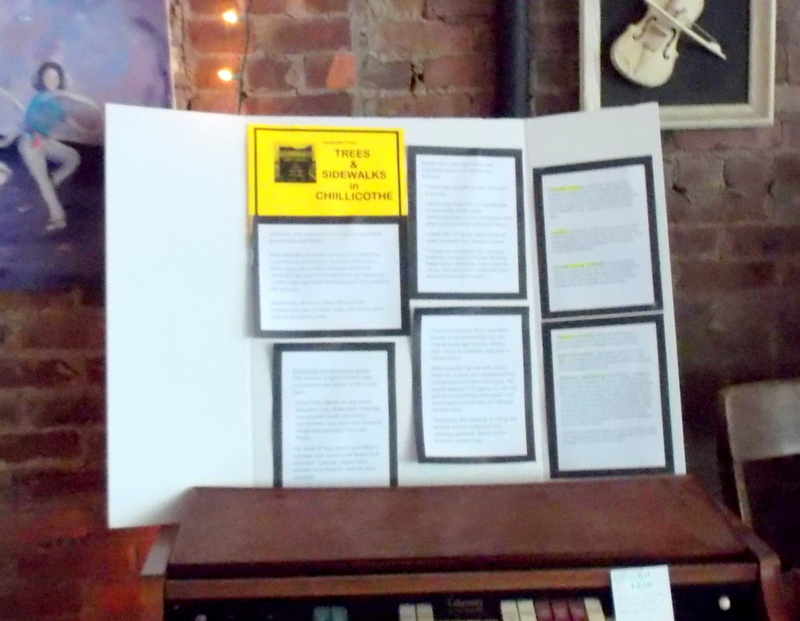 If you click on the yellow exhibit sign on the left, you will see a printable version of the large-font quotations used in our Chillicothe Exhibit. For other sources on Alternatives to Removing Trees when repairing sidewalks and repaving streets, see the discussion at the bottom of our posting “sidewalks vs. trees”. One helpful resource is the monograph “Sidewalks and Roots: Mitigating the Conflict—An Overview” by Gordon Mann of Auburn, California, which has descriptions of alternative and innovative solutions to tree removal, mentioning the advantages and disadvantages of each process or material. 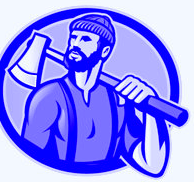 Municipal Research and Services Center (MRSC), a nonprofit organization in Washington State, reproduced Mann’s helpful article on its website. WHAT’s NEXT for S.O.S TREES? . . S.O.S.Trees thanks the Schenectady Gazette opinion staff for printing “Save our healthy old trees” [pdf.] as a Guest Column, Sunday, April 24, 2016, D1. 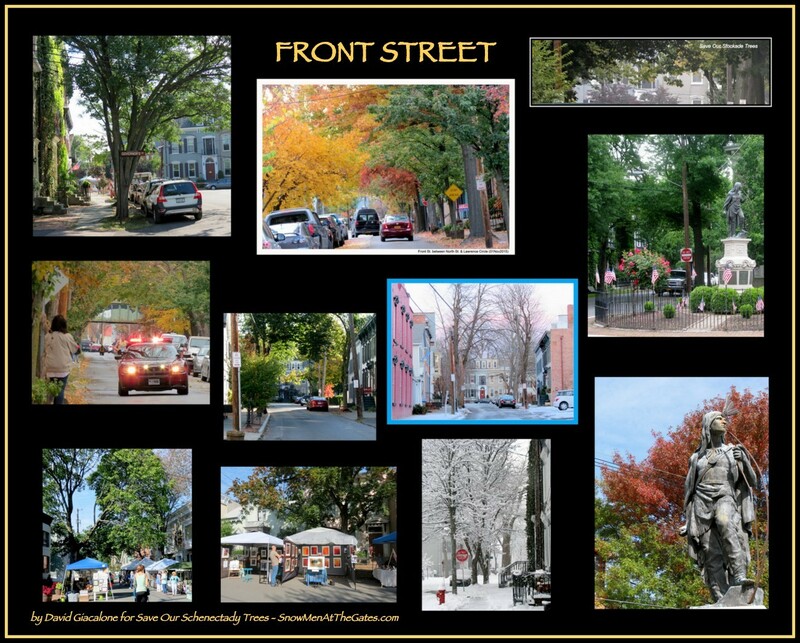 In 2013, Saratoga Springs acknowledged in its Urban and Community Forest Master Plan that “Different People See Trees in Different Ways.” While many folks love and value urban trees greatly, the Spa City Master Plan notes that some residents “see city trees as more nuisance than asset,” messy, in the way, or simply “easily replaceable.” Our S.O.S. Trees campaign hopes to raise awareness of both the benefits of urban trees, especially our mature street trees, and the many alternatives available to removal of those trees when repairing or replacing sidewalks. Below are other voices who agree that, in the case of Sidewalks vs. Trees, the balance of the evidence heavily favors trees. The defense “But, we’re fixing your sidewalk,” simply cannot justify the slaughter of street trees that are not dead, dying, or incurably dangerous. Whether it’s a dock, sidewalks or most anything else, residents of Schenectady’s Stockade tend to have strong opinions. And they were entirely right in condemning the city’s act of environmental vandalism two years ago when it chopped down some majestic old trees on North Ferry Street while repaving the street and redoing the sidewalks there. It was a major mistake, compounded by the fact that the city didn’t consult people in the neighborhood before doing it. But trees, whose roots have heaved some of the sidewalks on Washington Avenue, shouldn’t be left to residents to decide about keeping, or be responsible for. Even if it costs extra to reroute the sidewalk around large trees, as was done on Lowell Road in the GE Plot, that’s how it should be done and the city should pay for it. If rerouting isn’t possible, then the street should be repaved without redoing the sidewalk. And if it takes another year or two to work all this out, that’s OK. It takes a lot longer than that to grow a tree. Tacoma’s urban forest is a valuable asset, and all trees on public property are protected. Trees provide increasing benefits as they grow, and mature trees are an asset that requires decades to replace. Tacoma carefully considers each and every request to remove a street tree, and encourages tree planting, regular tree maintenance, and alternatives to tree removal except where no viable alternative exists. 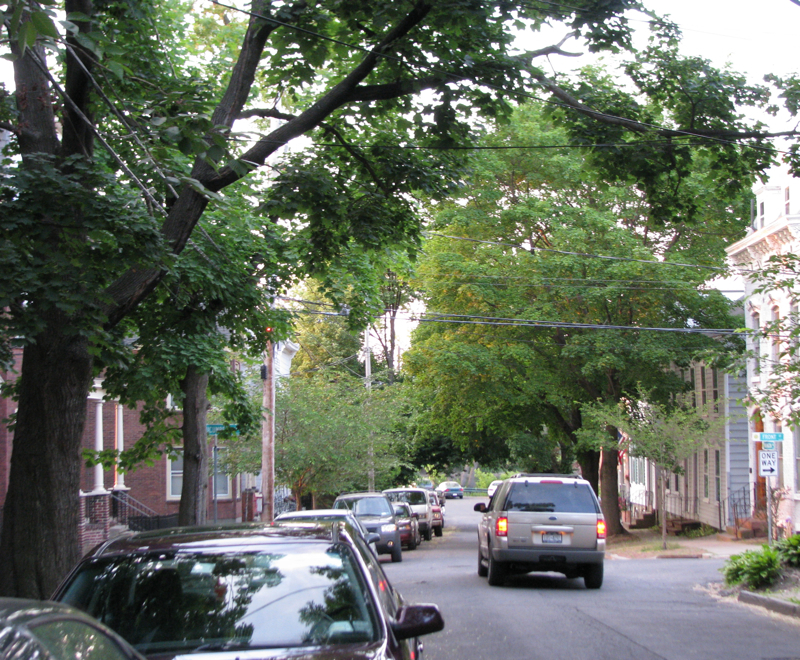 Street trees can only be removed if they meet the criteria of being dead, dying, or dangerous. Conditions that do not warrant removal include the tree dropping fruit or leaves, the tree being perceived as too tall or making too much shade, or the cost of routine maintenance. The Current process for tree removal involves the City taking action to remove dead or dying trees that pose a public safety risk or removing trees at the request of a landowner. This latter justification appears to happen as frequently for trees that pose a risk as it does for trees, which adjacent landowners wish to remove for personal reasons. Under the direction of the City arborist, the City will institute a policy and process of only removing trees that pose a risk to life or property as determined by a qualified arborist or forester. Dwindling budgets are forcing an increasing number of cities to shift the costs of sidewalk repair to residents. This shift especially impacts residents in older areas, where large trees have outgrown small sites and infrastructure has deteriorated. 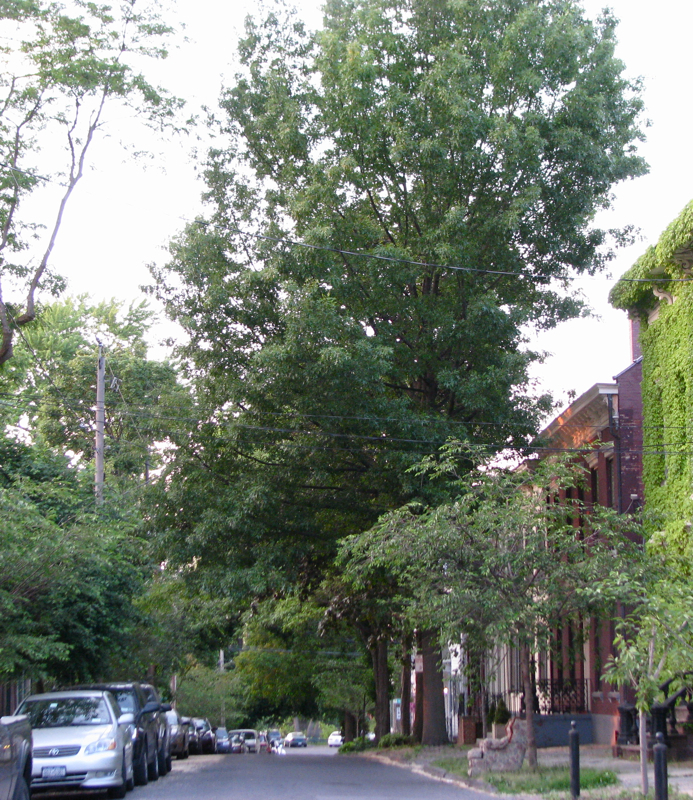 ➢ Cities are continuing to “downsize” their urban forests by planting far more small-statured than large-statured trees. Although small trees are appropriate under power lines and in small planting sites, they are less effective than large trees at providing shade, absorbing air pollutants, and intercepting rainfall. 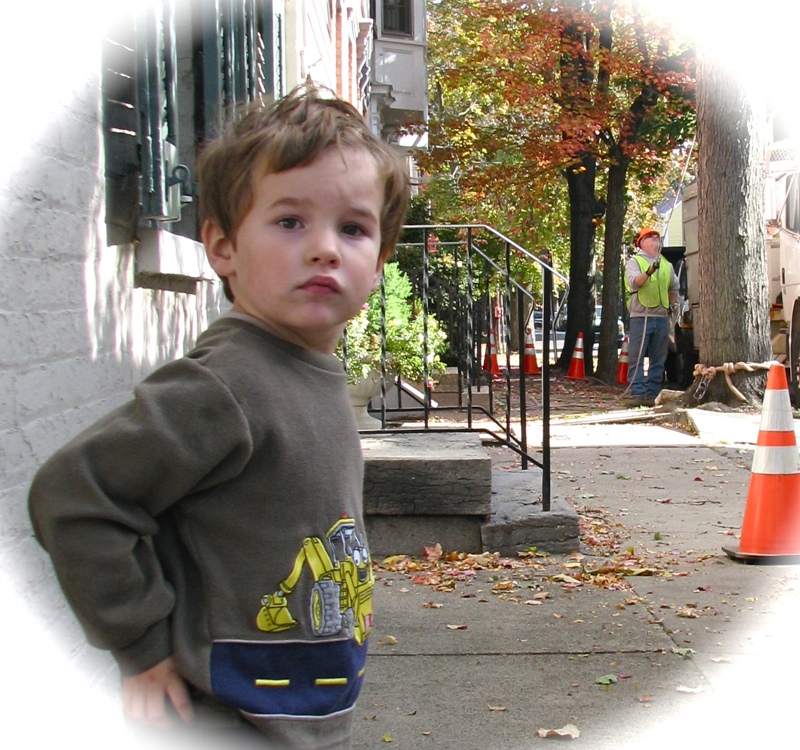 ➢ Sidewalk damage is the second most common reason that street and park trees are removed. We lose thousands of healthy urban trees and forgo their benefits each year because of [sidewalk damage]. Collectively, this is a lose-lose situation. Cost-effective strategies to retain benefits from large street trees while reducing costs associated with infrastructure conflicts are needed. Matching the growth characteristics of trees to conditions at the planting site is one strategy. 4. Promote conservation of tree resources. The benefits derived from the urban forest generally increase as tree size and canopy cover increase. Therefore, it is in the best interest of the community to protect its existing tree resources from loss or depletion. It is not possible to indefinitely preserve individual trees, since each tree will eventually die. However, it is possible to preserve both the urban forest and natural woodlands by restricting the indiscriminate removal of trees in all age classes, and by making provisions for natural or human-assisted regeneration. This embodies the concept of conservation. ● Responsibility for approving corrective measures. 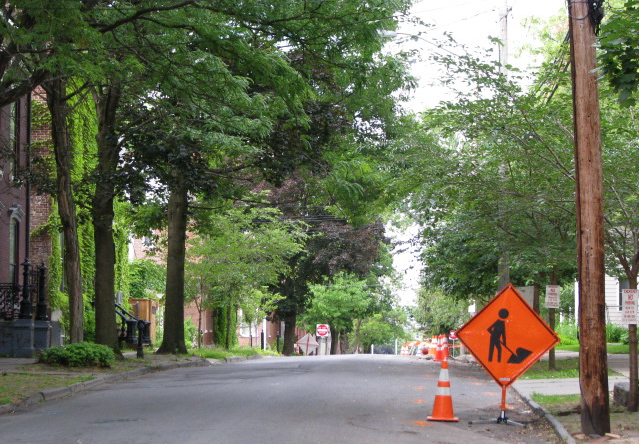 Notes: Tree-related damage to street improvements is common in many communities. Although tree roots are blamed for the cracking concrete and invading sewer lines, it is equally valid to point out that these structures fail because they have not been properly engineered to function in a landscape that contains growing trees and their roots. Unfortunately, the approach in too many cities has been to remove trees rather than to find a way to redesign structures to be compatible with trees. This provision can be used to establish the priority of trees over hardscape. Individual property owners normally do not have the resources or expertise to develop satisfactory solutions to tree- hardscape conflicts on their own. Therefore, the responsibility for correcting conflicts between trees and street improvements should not be assigned to the property owner. However, if the conflict results from actions by a property owner which violate municipal tree planting standards, the city may require the property owner to bear some or all of the cost of corrective action. 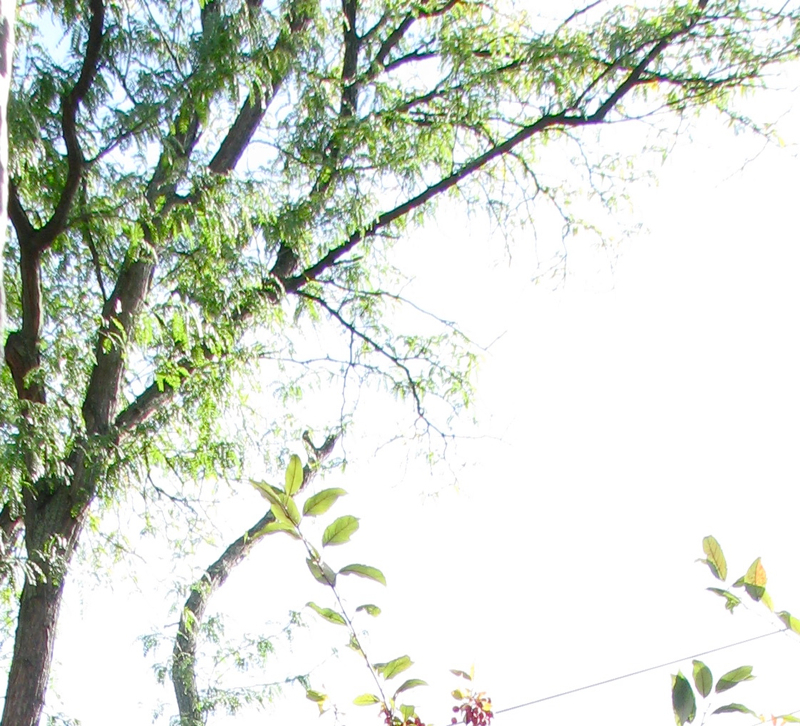 The ISA Tree Ordinance Guide presents two sample tree preservation provisions. [from theSan Luis Obispo, CA: City Code Section 12.24.150] A. When roots of a tree planted within the planting area damage city curbs, gutters and sidewalks (including driveway ramps), the city shall be responsible for appropriate corrective measures which are least damaging to the tree. [a sample provision from the Guide’s authors] Where sidewalk or curb damage due to tree roots occurs, every effort shall be made to correct the problem without removing or damaging the tree. The city forester shall be responsible for developing or approving corrective measures in consultation with the city engineer. Trees often ruin sidewalks, and sidewalk repair often kills trees. This conflict comes from the fact that sidewalks and trees have competing needs. Trees need a soil that is moist and loose, and that they can push aside as they grow. Sidewalks need to be smooth (but not flat) on a soil that will not shift with a load. 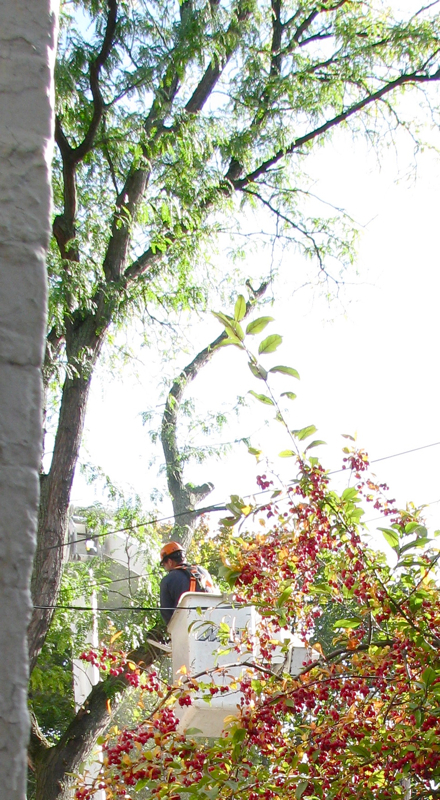 Trees and sidewalks are costly and valuable, so both needs must be taken seriously. a sidewalk can be curved around the trunk (at least 2-3′). In some cases, a raised edge can simply be ground down, or smoothed over with asphalt. The new sidewalk may be ramped up and over the roots by starting further away. You can also do minimal excavation, and then pour asphalt directly over the roots. Gravel, mulch, pavers set in sand, or asphalt can be used instead of concrete. Sidewalks and trees aren’t hot topics unless there are conflicts with them. Both sidewalks and trees are crucial in providing important services to our residents and visitors. When there are conflicts between trees and sidewalks, we must be thoughtful in our approach to effectively spend limited dollars and truly address the problem. Surprisingly, there are often efficient and inexpensive ways to repair walks and at the same time retain nearby trees. “Causes of the Conflict between Trees and Sidewalks Trees receive most blame when sidewalks fail, but construction techniques, old age, inferior construction materials, unstable soil or even traffic patterns also contribute to sidewalk failure more often than acknowledged. “Tree related sidewalk conflicts can be delineated into two types of damage requiring different responses. Street trees are community assets. They provide tangible benefits that contribute to the quality of life in any town. 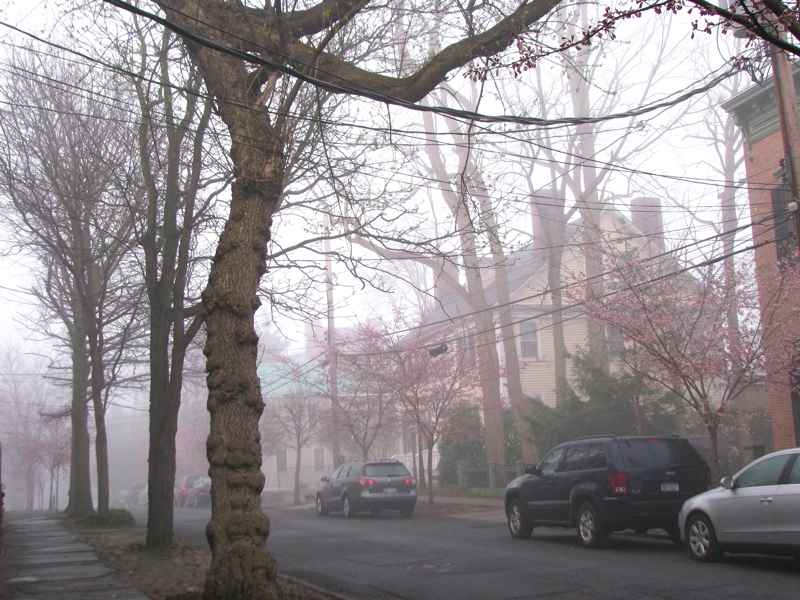 Street trees absorb air and water pollution. They abate noise pollution, they provide shade and energy conservation and even raise property values and decrease crime and illness. The value of trees varies according to tree age, size, species and health and structure. Typically bigger trees provide more benefits and are more valuable. The value of large tree decreases when there are infrastructure conflicts or structural defects that predispose a large tree to failure. People often lose sight about two important aspects of community forestry.  Trees take decades or even centuries to get big.  Most large trees are not replaceable or renewable in the urban environment due to site constraints and other environmental and social factors.  Once they are gone, eighty years or more of growth and services is gone.  In most towns, tree canopies are decreasing. Canopy loss translates into increased pollution, increase stormwater flooding, bigger carbon footprints, lower property values, and many other social, economic and environmental problems. Young trees are in a vegetative growth phase of life. During this phase, they are actively growing. This is when they will conflict with infrastructure. Once trees mature, they reach their genetic or environmental size and stop growing aggressively. Mature trees rarely do extensive damage to infrastructure. Usually the damage was done long ago when the tree was young and actively growing. In these situations, it is often best to retain the tree. In these situations, a properly repaired sidewalk will last a long time with minimal future damage from the mature tree. . . . When considering sidewalk repair, there are several well established and inexpensive techniques available. The typical approach of ripping out the old and re-constructing a new walk is the most expensive and this can damage to nearby trees. If the tree isn’t removed, this type of work can render a tree hazardous. 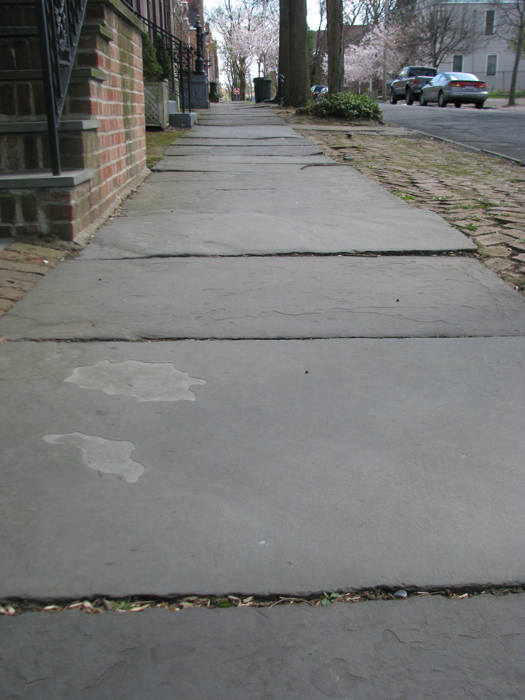 Techniques like ramping, grinding and leveling are less expensive than redoing a sidewalk. These do not threaten nearby trees. Sidewalk grinding: Sidewalk grinding is a temporary measure that restores the offset or heaved portion of a sidewalk to original grade. Sidewalk cutouts: “Borrowing” space from the adjacent sidewalk creates sidewalk cutouts. This alternative minimizes the sidewalk width for a limited distance adjacent to the tree. Sidewalk meandering: Meandering—realigning the sidewalk’s direction of travel—allows for more growing space for trees in an aesthetically appealing way. The amount of growing space created can be substantial and, therefore, sidewalk meandering is usually the most feasible way to retain large, mature trees. Also, increased distance from sidewalk edge to lateral roots or trunk flare allows for root pruning, when necessary, to occur further from the trunk, which reduces direct contact between the sidewalk and tree roots or trunk. 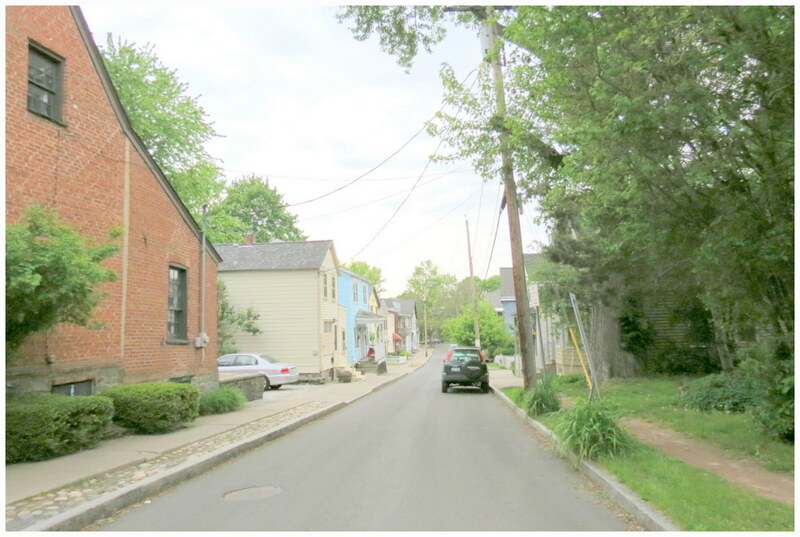 Sidewalk meandering often requires permission from the abutting property owner to dedicate more of their property to the public right-of-way. Sidewalk ramping: Sidewalk ramping allows existing roots to remain intact by raising the base layer and repouring concrete over the roots to create a gradually sloped ramp. It is used when removal of roots would compromise the stability of a tree. Damaged sidewalk slabs are removed and 4-6 inches of topsoil is placed on top of the existing grade. Sand or gravel and a base layer or crushed limestone is placed adjacent or around the subject roots. A new sidewalk is then installed on top of this new base. Leveling: Leveling is a technique where a hole is drilled through the sidewalk and silicone/concrete liquid is pumped underneath the slab to raise it. This is becoming a common technique to extend the service life of sidewalks. Flexible paving materials: Flexible paving comes in many forms, which include: interlocking pavers, common brick and pavers and rubber (Dublin, Ohio uses rubber.) This is the most tree friendly of all the sidewalk repair options. FHWA. Additionally, the Sidewalk Design Guidelines for accessibility under the The Americans with Disabilities Act of 1990 (ADA), published by the Federal Highway Administration in 1999), do not mention removal among the options presented when tree roots cause sidewalk upheaval. Changes in level are vertical elevation differences between adjacent surfaces. 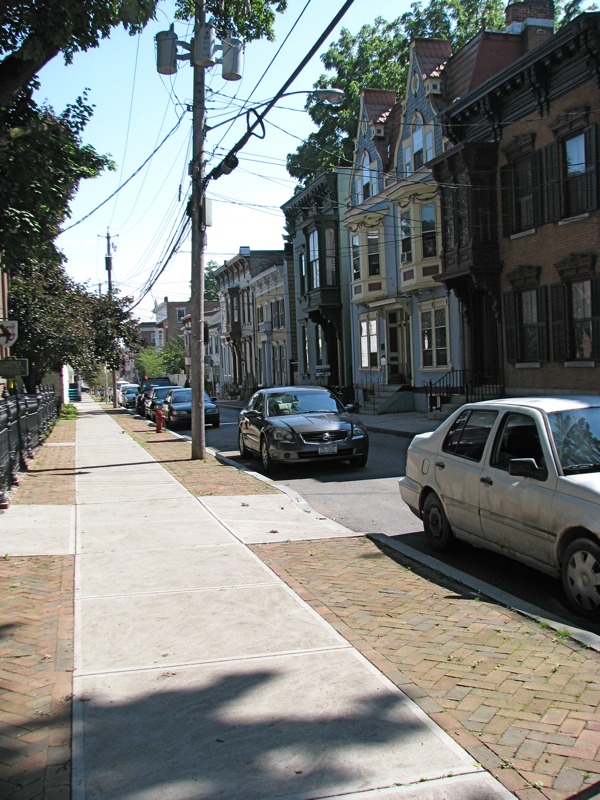 Changes in level are relatively common on sidewalks, particularly in residential areas. Changes in level that currently exist should be addressed through a maintenance program. Whenever possible, the cause of the change in level should be removed. For example, if the cause of the change in level is an overgrown tree root, the sidewalk should be rerouted around the tree with additional right-of-way or ramp up and over the roots. (Section 4.4 contains information on how to plant trees so that they will not push up through the sidewalk.) If rerouting is not a viable solution, changes of level should be ramped to provide a smooth surface. Alternatives to Tree Removal are discussed in many online webpages and articles. Here are links to a few examples. why worry about our large street trees? why not just remove them? Our City Engineer, Chris Wallin, and his staff clearly want to do the best they can for the City of Schenectady, within financial and legal constraints, and directives from above. Assistant City Engineer Peter Knutson spent a considerable amount of time a few weeks ago composing answers to my concerns over the removal of trees that were healthy (at least until affected by street or sidewalk construction). But, two points made by engineer Knutson leave me concerned that they are missing the Forest of Benefits due to the (potentially) Problematic Trees. “My job with the city is to limit liability. Even if one in a thousand trees has the potential to become a liability, that would leave the city open to hundreds if not thousands of potential lawsuits with the hundreds of thousands of trees in the city right of way. As I said, if a property owner wants to accept liability for a tree we can cross that bridge when/if it happens. Until I am advised otherwise by corporation counsel, any tree that I feel had been impacted negatively by any construction will be removed. Both the focus on the nebulous potential liability for fallen trees and the faith in comparable results in the near future (or ever) seem misguided. 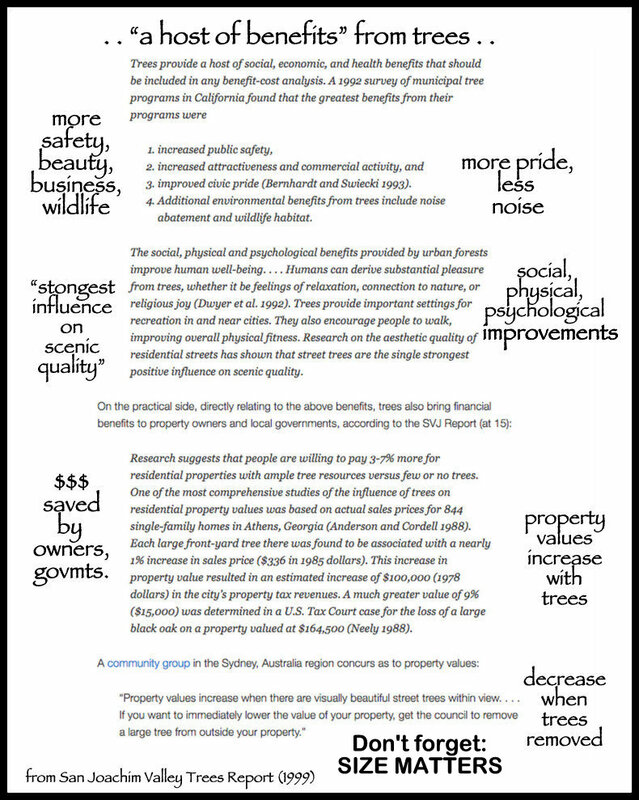 The “costs” — aesthetic, social, economic, health and environmental — involved in removing large street trees is so great, and the impact of the smaller “location appropriate” trees over time so underwhelming, that I hope the City will undertake a comprehensive cost-benefit analysis of the effects of removing our old-growth street trees, and of the efficacy and cost of alternatives to such removal, before any new program of sidewalk repair is started. 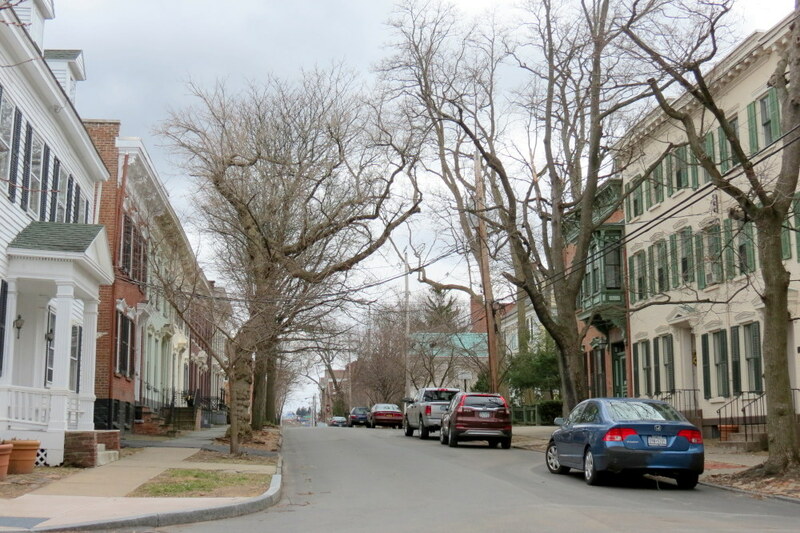 As I wrote six years ago, when the City wanted to remove all large trees along its Washington Avenue right-of-way in order to repair its sidewalks, “Schenectady needs a Tree Preservation Policy”. 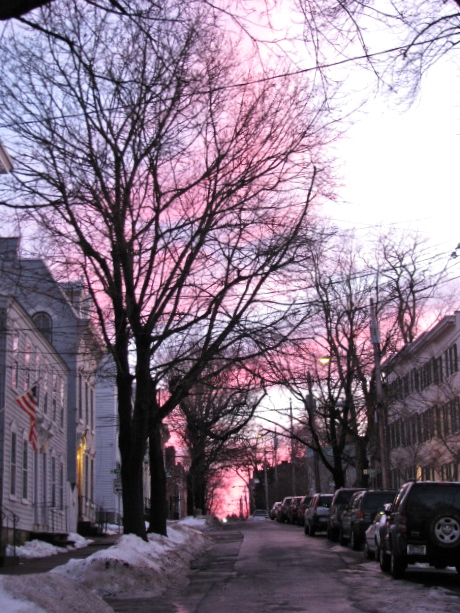 Trees are major capital assets in cities across the United States. Just as streets, sidewalks, public buildings and recreational facilities are a part of a community’s infrastructure, so are publicly owned trees. Trees — and, collectively, the urban forest — are important assets that require care and maintenance the same as other public property. Trees are on the job 24 hours every day working for all of us to improve our environment and quality of life. For me, the two greatest benefits — sufficient in themselves to justify a tree preservation policy — are the beauty of large trees and the inviting and shielding shade they provide, especially in rows, groups and canopies. There is, of course, much more to admire about trees and justify their preservation and conservation. improved civic pride (Bernhardt and Swiecki 1993). Additional environmental benefits from trees include noise abatement and wildlife habitat. The social, physical and psychological benefits provided by urban forests improve human well-being. . . . Humans can derive substantial pleasure from trees, whether it be feelings of relaxation, connection to nature, or religious joy (Dwyer et al. 1992). Trees provide important settings for recreation in and near cities. 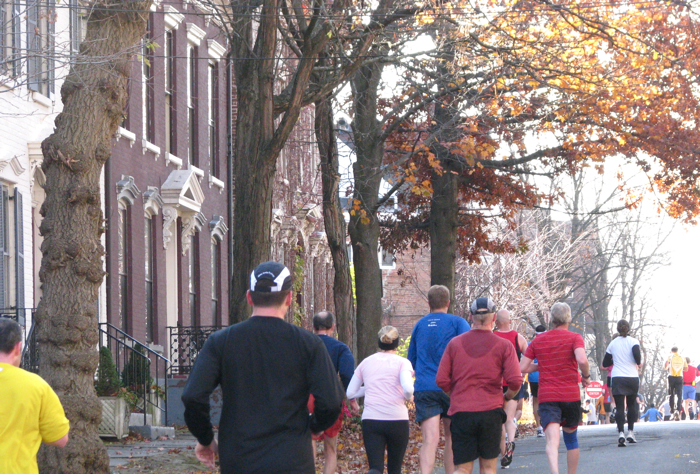 They also encourage people to walk, improving overall physical fitness. 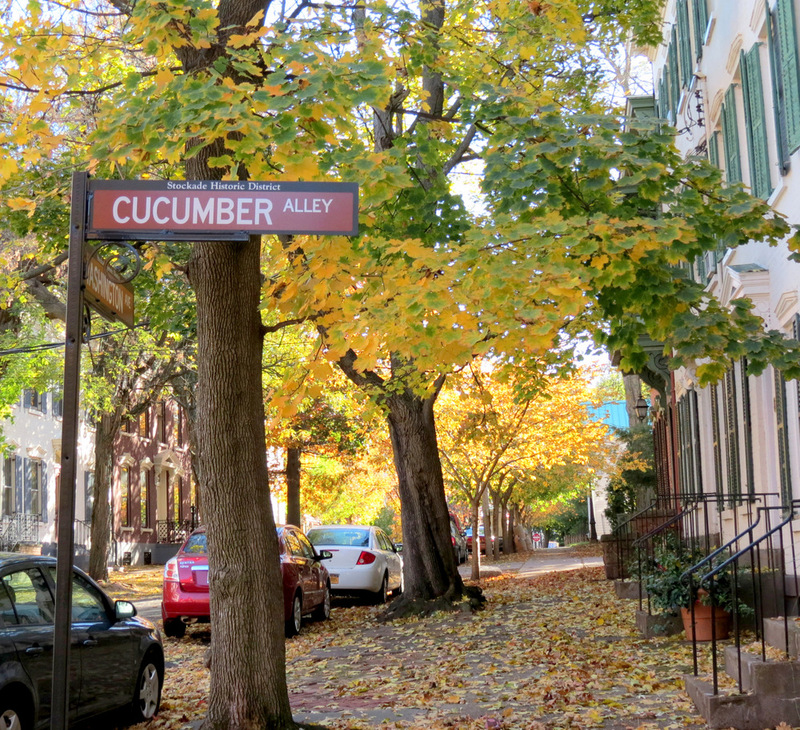 Research on the aesthetic quality of residential streets has shown that street trees are the single strongest positive influence on scenic quality. Research suggests that people are willing to pay 3-7% more for residential properties with ample tree resources versus few or no trees. One of the most comprehensive studies of the influence of trees on residential property values was based on actual sales prices for 844 single-family homes in Athens, Georgia (Anderson and Cordell 1988). Each large front-yard tree there was found to be associated with a nearly 1% increase in sales price ($336 in 1985 dollars). This increase in property value resulted in an estimated increase of $100,000 (1978 dollars) in the city’s property tax revenues. A much greater value of 9% ($15,000) was determined in a U.S. Tax Court case for the loss of a large black oak on a property valued at $164,500 (Neely 1988). “[Y]ou say that the little trees ruin the historic feel but if you give them 5-10 years they will be mature and give the same feel as the larger trees with minimal burden of damage. He also said, concerning the notion of tree preservation: “For example, [on] N Ferry Street we removed 6-7 mature trees and installed 23. While those trees may be small now they will grow and provide great shade and the historic feel you are looking for. It will just take time.” Is our City Engineer and his staff correct to say replacement trees can relatively quickly, with a little patience, give us the same “historic feel” as our old-growth street trees? Does this correspond to your streetscape experience and aesthetics, or merely to the standards of civil servants with marching orders from the Mayor’s office? .. Compare the following collages (click on each for larger versions) .. Note: the only visible large trees, looking south from Lawrence Circle are the ones on the grounds of St. George’s Episcopal Church. 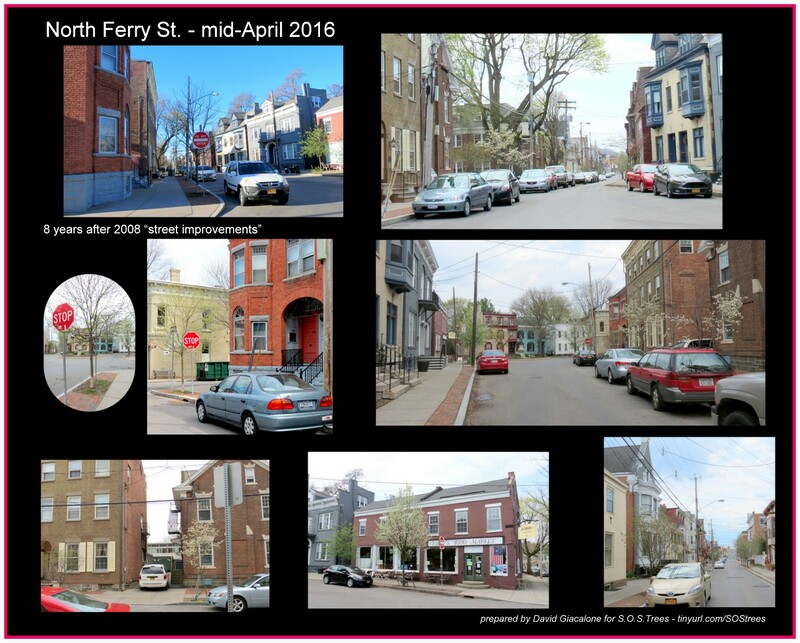 Photos can, of course, be made to lie, but I have attempted to show what N. Ferry Street looks like this week (shots taken April 20 & 22, 2016) from the same perspectives as the 2007 Google Street Views images in the top collage. You can draw your own conclusions of comparable “historic” feel and other aesthetic standards before and eight years after the 2008 repaving of N. Ferry’s roadway and sidewalks. 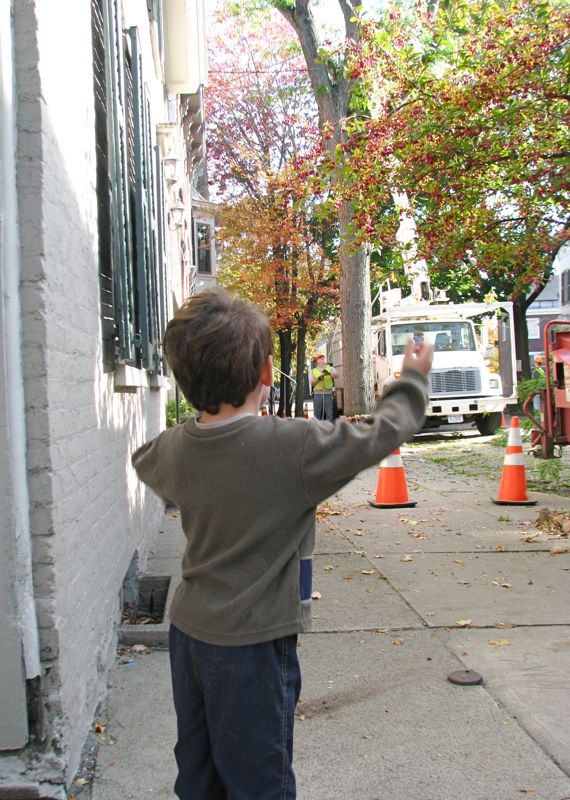 ReTree Schenectady helped choose the replacement trees, using their customary guidelines for trees that will be along urban streets that have utility wires and small right-of-way areas between curb and sidewalks. My understanding is that those trees are not meant to ever be tall or wide, or to give a significant amount of shade. Research on the aesthetic quality of residential streets has shown that street trees are the single strongest positive influence on scenic quality. For myself, simply from the aesthetic perspective, street tree preservation deserves to take precedence over sidewalk repair concerns and related fiscal restraints. That’s true, even before we consider the wonderful effects of shade on our desire to stroll and shop, and on our air conditioning bills and the battle against harmful sun rays. When the many other benefits of urban trees are also taken into account, the rush to embrace roadside clear-cutting in the name of sidewalk and streetscape improvement is very difficult for this non-engineer to understand. If you agree, please actively support S.O.S.Trees and its campaign for a street tree preservation policy in Schenectady. 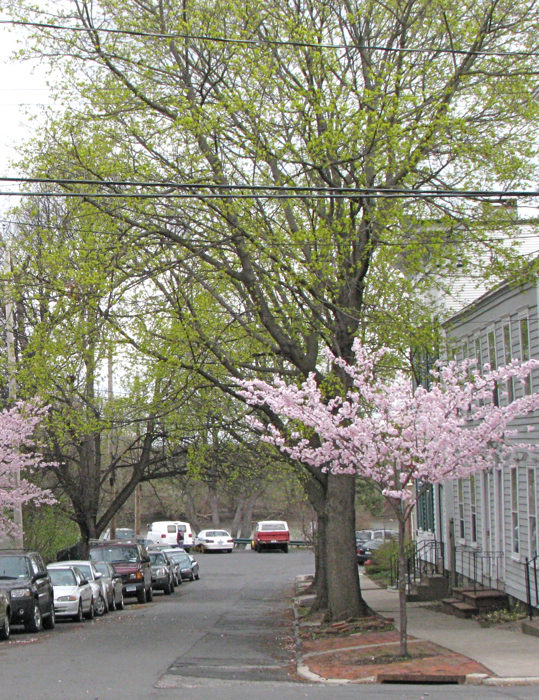 Go to our Save Our Schenectady Trees portal page. The only shade tree survivors in view are not along the City’s right of way, but are (fortunately) located on the property of St. George’ Church. City staff stated that the process used to improve the streetscape on Ferry Street was preferable to the one for Washington Avenue. How do the two approaches differ? The No. Ferry project took out all mature trees between the curb and sidewalk, it also replaced all sidewalks (regardless of their composition or condition). The Washington Avenue repaving spared the trees, leaving decisions about the sidewalks for future resolution. [To see more No. Ferry St. Deforestation, click on the collage to the right.] Assistant City Engineer Pete Knutson confirmed the Office’s preference for the No. Ferry process in a series of emails with the editor of the weblog on March 22, 2016. 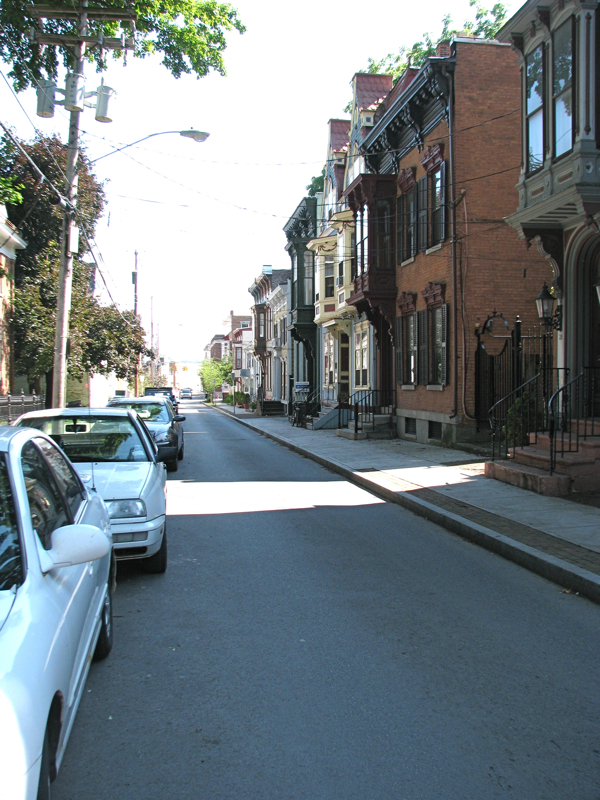 Which post-paving streetscape do you prefer? No. Ferry Street [L] or Washington Avenue [R]? .. with leaves, above ..
.. without leaves (in March 2016), below .. The City Engineer and, obviously, our Mayor Gary McCarthy, prefer to clearcut the trees in the City’s right of way to avoid any (tenuous) future liability should a tree which remains after losing some of its root system topple many years later. What is it worth in dollars, environmental, social, and economic benefits, civic pride, and aesthetic pleasure for residents, visitors, and tourists, to save our street trees? Shouldn’t we take the time to seriously consider the options available to us other than virtual clear-cutting, before needlessly taking down a tree that is not dead, dying, or dangerous, in the name of “streetscape improvement” or liability avoidance? 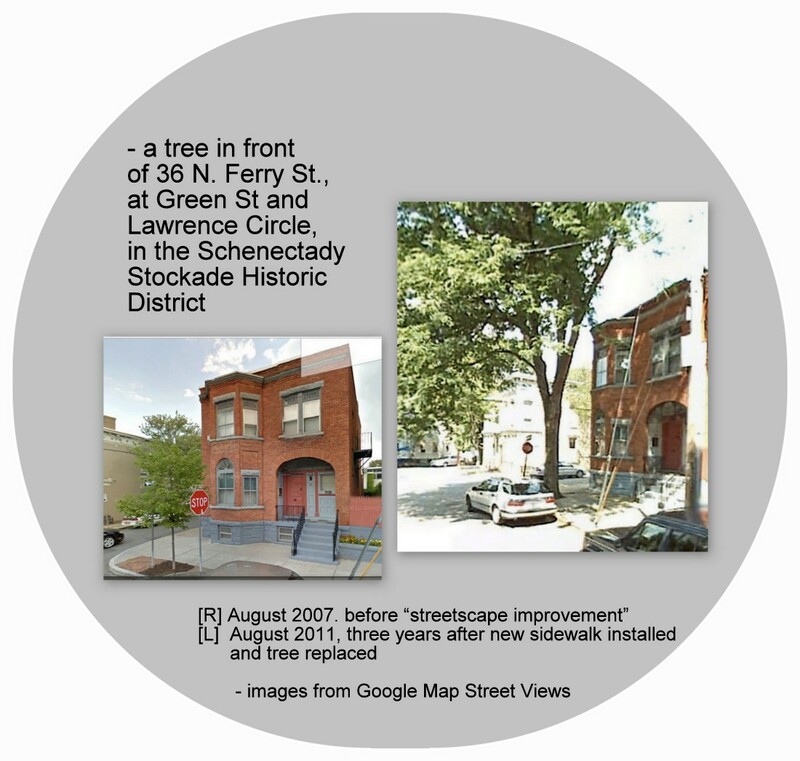 S.O.S.Trees, the Save Our Schenectady Trees campaign, is being launched this month, in response to the City Engineer’s revival of a method we thought we had beat back for good in 2010. For more information and links to photos, click on the Save Our Trees tab in our masthead. And, please come to the S.O.S. 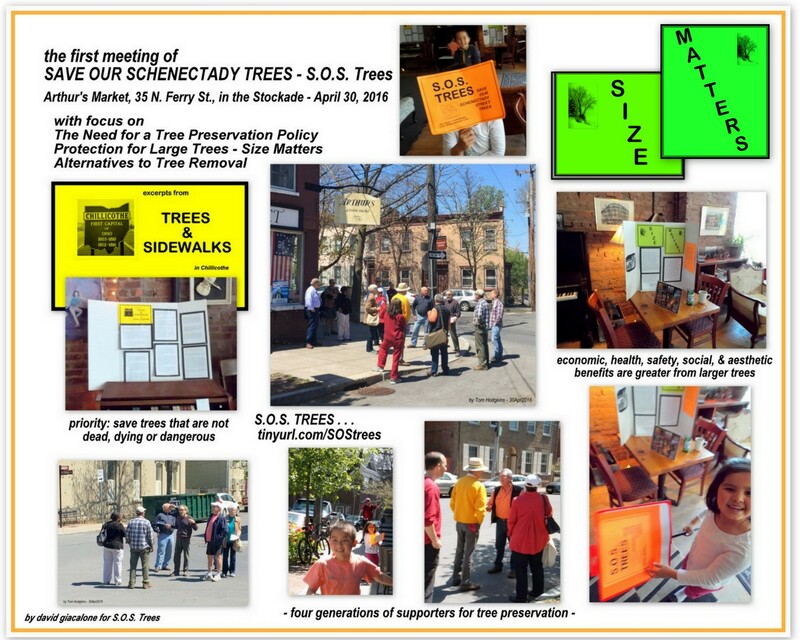 Trees information and organizing Meeting, at Arthur’s Market, Noon on Saturday, April 30th. Click for a printable copy of our Meeting Announcement. 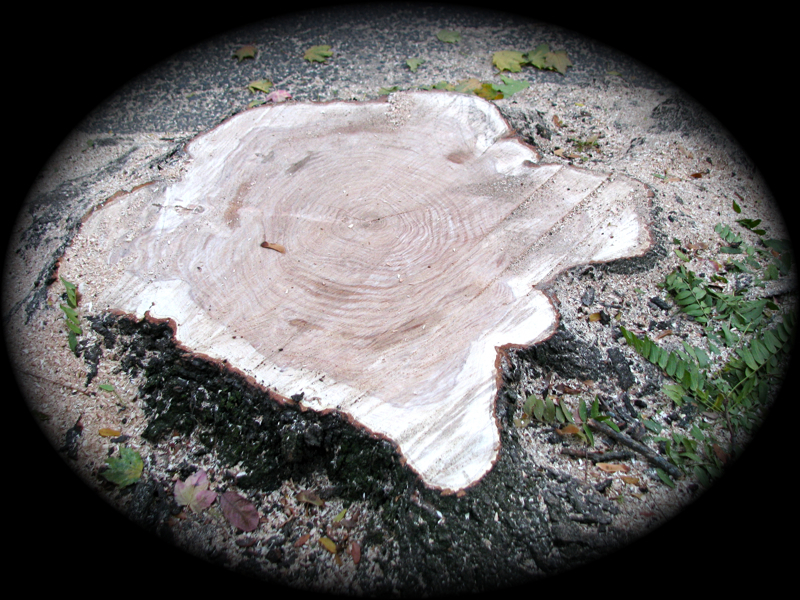 – stump created Oct. 20, 2010 at 33 Front St.
Little did Devin and I know last week (October 14) when we watched a crew trimming the locust tree in front of 33 Front Street that it was being groomed for an execution six days later.
. . . or, did Devin know better than I? . . . When I heard on Wednesday afternoon that the mature, healthy-looking shade tree in front of Nancy and Fred Jonas’ home had been chopped down earlier that day, I made a quick stop to see the (irrevocable) carnage and take a few photos. As you can see, however, the roots of the tree had disrupted the adjacent sidewalk. Was the tree ill despite its apparent good health? No. Was the buckled sidewalk enough to seal its fate? Did the tree offend someone in some other way? Was every alternative adequately considered before permission was given and the decision was made to remove the tree? I later learned that it was the inconvenience of dealing with the various leaves, twigs, and similar droppings, that made the owners want it removed. By the Way: Within a few years, the Jonases had moved away. The day I met the new owners at their front stoop, they said they wondered why all the other houses had a tree in front of them on their block, but their house did not. Don’t get me started. 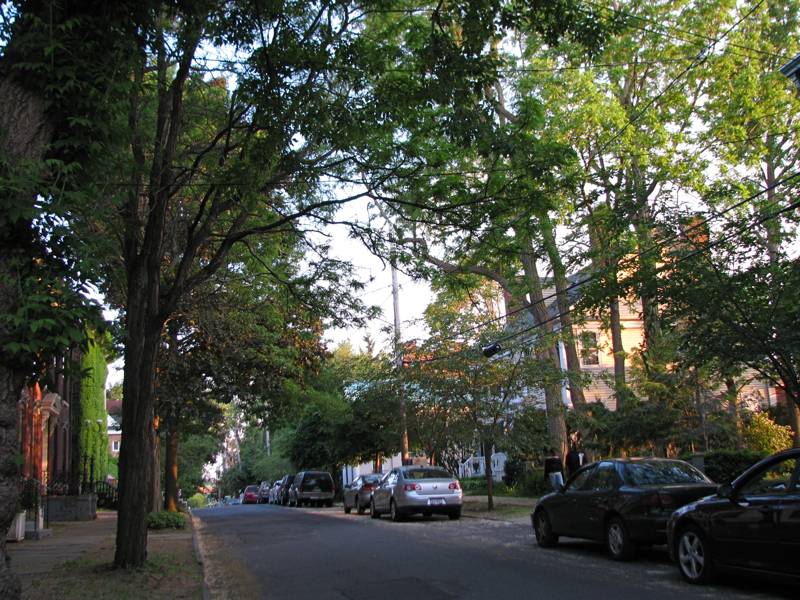 Portland’s urban forest is a valuable asset, and all trees on public property are protected. Trees provide increasing benefits as they grow, and mature trees are an asset that requires decades to replace. 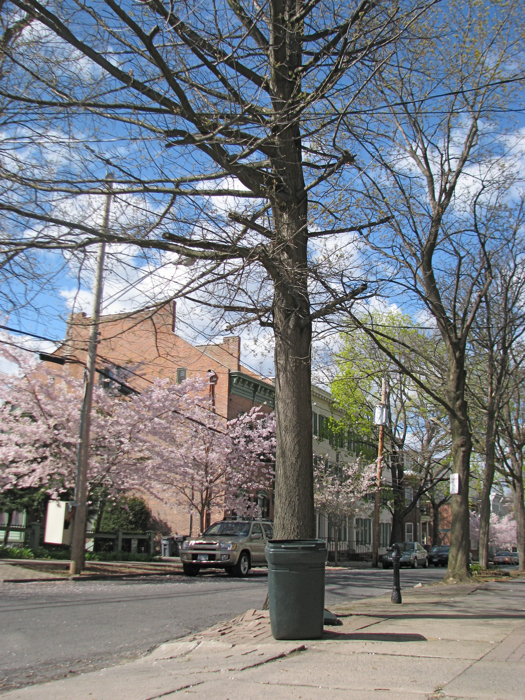 Urban Forestry carefully considers each and every request to remove a street tree, and encourages tree planting, regular tree maintenance, and alternatives to tree removal except where no viable alternative exists. Street trees can only be removed if they meet the criteria of being dead, dying, or dangerous. Conditions that do not warrant removal include the tree dropping fruit or leaves, the tree being perceived as too tall or making too much shade, or the cost of routine maintenance. What do you think? I hope Devin will be around to benefit from the beauty, shade and other attributes of the tiny tree that is purportedly going to be planted to replace the mature one felled this week. I fear that neither I, nor the rest of my Baby Boom generation neighbors, or our elders, will be so lucky, especially since the replacement trees are not actually meant to be tall enough to reach true shade tree status. [Follow-up: the Jonases had the stump quickly removed and then had a new sidewalk poured over the spot. No replacement new tree was planted. update: Still no replacement tree, March 20, 2016.] 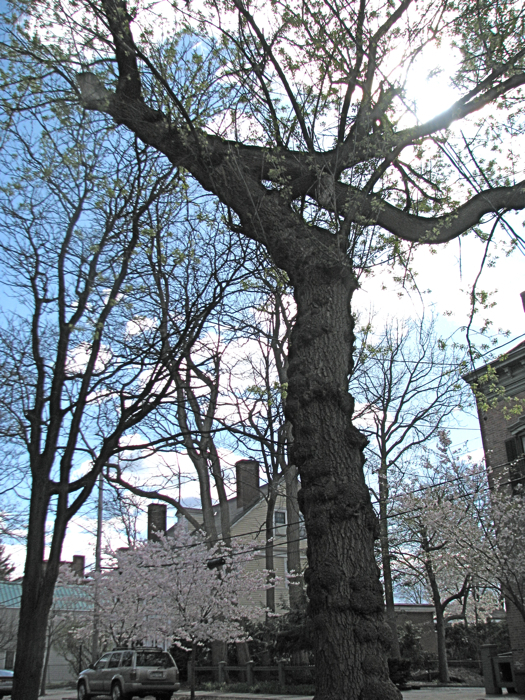 Please tell our local leaders that we need a tree preservation policy in Schenectady — especially for the Stockade and other historic districts. 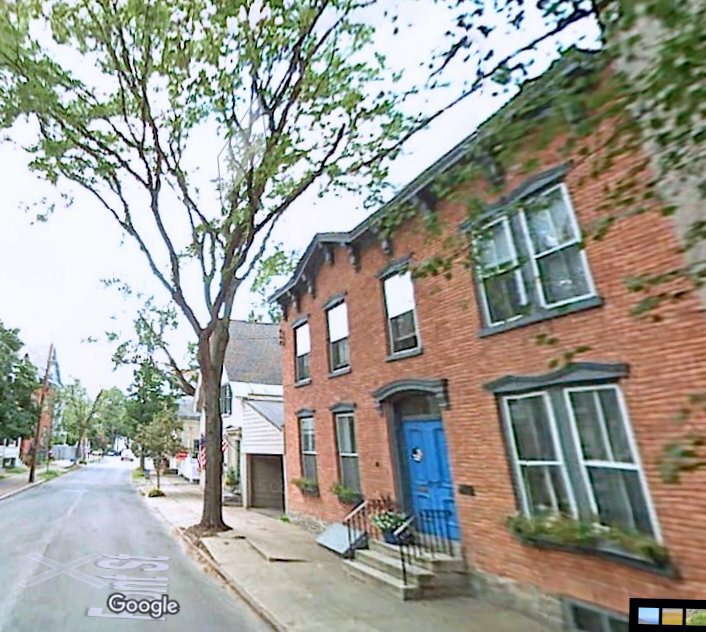 In an editorial titled “Stockade side-walk about” the Schenectady Daily Gazette has once again called for saving the Stockade’s trees, even if it means not repaving some of its sidewalks — and even if it takes a year or two to hammer out the details with Stockade residents. (June 25, 2010) See our prior posting “The Gazette favors trees over sidewalks,” April 17, 2010, reporting on that day’s Gazette editorial. The editorial also notes that the City “messed up” on No. 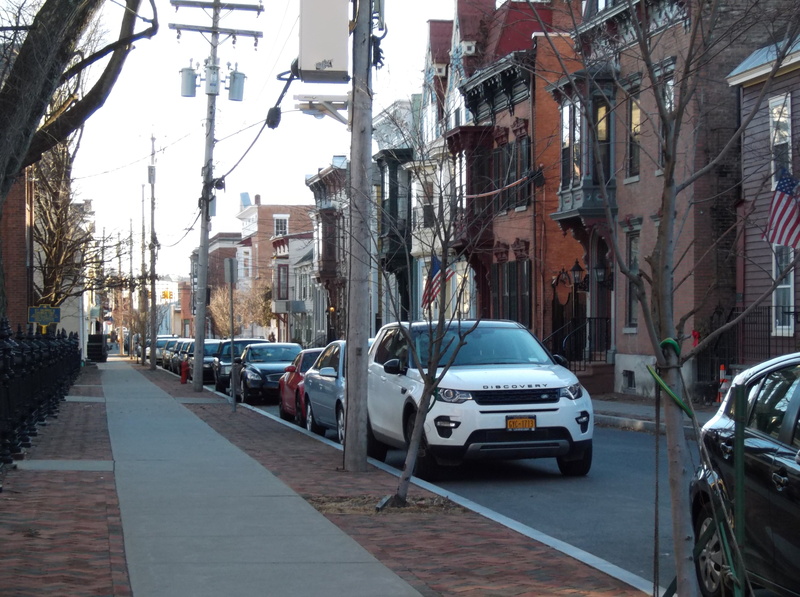 Front Street when it did not enter into contracts with every property owner and did not collect from all of those who had extras like brick or bluestone installed during the sidewalk repaving. It quotes General Services Commissioner Carl Olsen saying he won’t start the sidewalk work until he has signed contracts and money up-front from residents on Washington Ave.
“Even if it costs extra to reroute the sidewalk around large trees, as was done on Lowell Road in the GE Plot, that’s how it should be done and the city should pay for it. If rerouting isn’t possible, then the street should be repaved without redoing the sidewalk. Many thanks to the Gazette opinion staff. 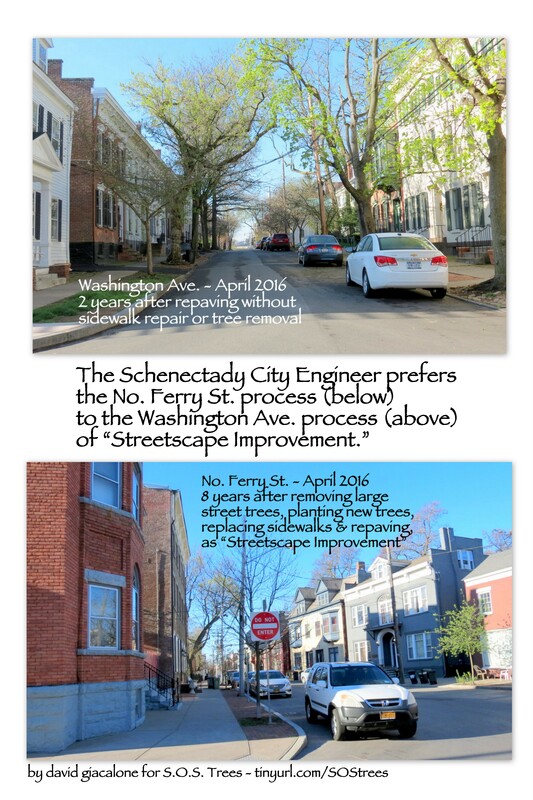 Note: This posting is being updated in early April, 2016, because the Office of the Schenectady City Engineer has apparently revived a plan that would result in removing virtually all mature trees from the City’s right-of-way (between sidewalk and curb) when replacing sidewalks, regardless of the health and stature of a particular tree, as it did on North Ferry Street in 2008. [see photo to the right] When the issue first came up in 2010, in the context of repaving Washington Avenue in the Stockade, a combination of resident opposition and strong Gazette editorials (described and linked here and here) prevented the unwarranted attack on a valuable portion of our urban forest and the beauty and history it embodies. The preference of the Engineer’s Office for the North Ferry Street process was defended and clarified in a series of emails, on March 22, 2016, between the author of this posting and an assistant civil engineer. 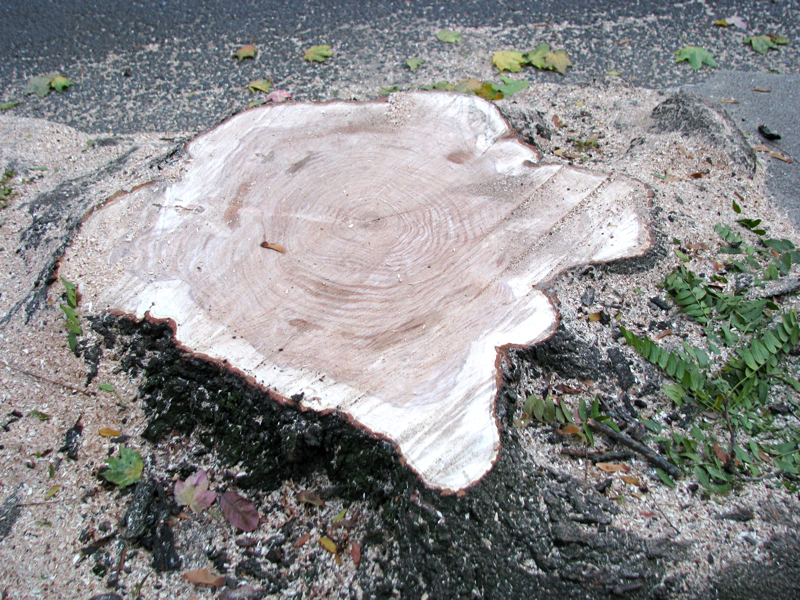 Fear of liability due to a tree being weakened by root trimming or damage during repaving or repair was given as the primary reason for the tree removal policy. And, see “Update from Infrastructure Committee,” Stockade Spy, March 2016, at 6. There are photo collages showing the effects of the existing deforestation policy and what we have to lose if we let it continue on other streets, in the first two Appendices at the end of this posting. Views of other street scenes from around the City will soon be added. This is a strange situation for a City which is so proud of its Historic Districts (especially the Stockade) and of it’s designation as a Tree City, USA, and which has so much to lose if it practices thoughtless or inadvertent deforestation. 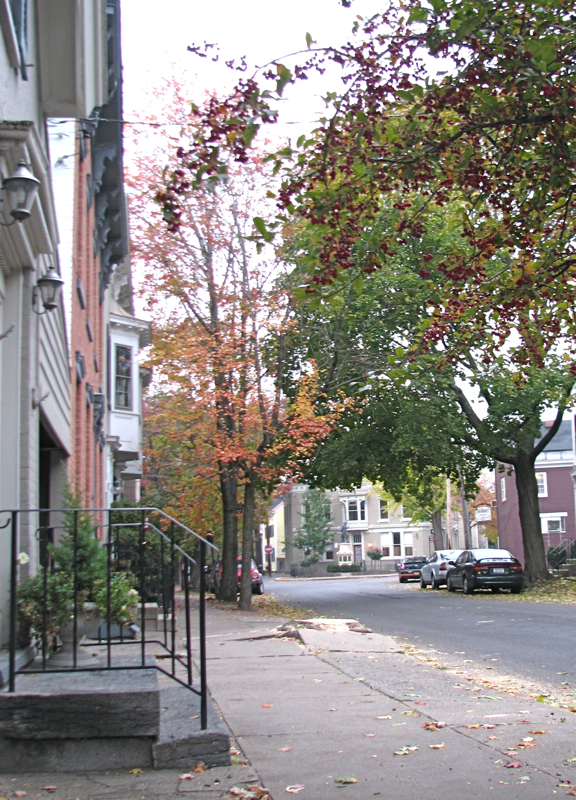 In the June 18, 2010, Schenectady Gazette, then-Commissioner of General Services Carl Olsen said he expected the planning that was delaying repaving [negotiation with Washington Ave. residents on saving our trees] would be useful for further historic district paving projects, and he wants the residents to be pleased with the end result. See our post, “No. Ferry St. lessons said to cause repaving delays” (June 18, 2010), which has photos of No. Ferry street stripped of its mature shade trees; and the Schenectady Gazette article “Sidewalk talks delay paving of Washington Avenue in Schenectady” (by Kathleen Moore, June 18, 2010; subscription needed for access). 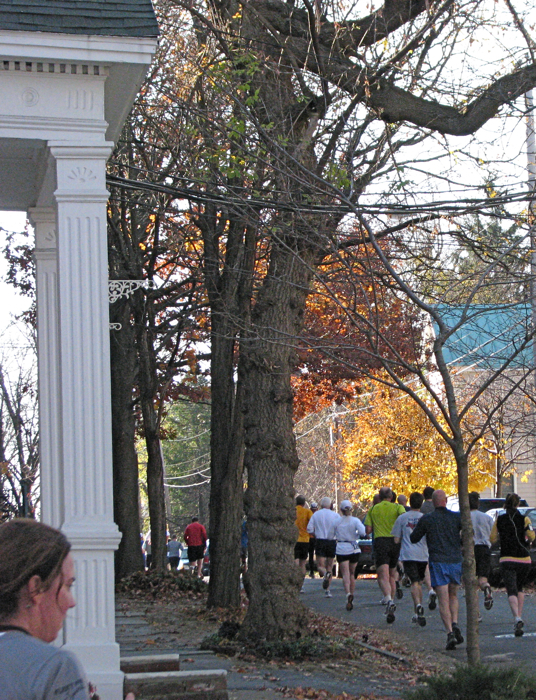 When this post was originally written, in June 2010, we did not know that Mayor Gary McCarthy would stall repaving the Stockade section of Washington Avenue until a week or so before the Stockade-athon Race ran the full length of that street for the first time, in November 2014. The sidewalks were and remain untouched by the City. Thus, the six years since then-Commissioner Olsen voiced optimism about achieving a result pleasing to historic district residents clearly did not produce a better process than the one rejected by the community in 2010. Instead, in early 2016, we again face the threat of North-Ferry-like “clearcutting” of mature trees in the right-of-way between curb and sidewalk (leaving existing small, unthreatening replacement trees in place, and replacing the mature trees with similar “appropriate” trees). Furthermore, eight years after “appropriate” species of trees were planted as substitutes for the felled trees on No. Ferry, it is clear that the new trees will never bring the aesthetic and practical benefits of mature shade trees. Rather than achieving a better process that might salvage a large part of our streetscape urban forest, the City has brought back the specter of blocks stripped of healthy shade trees, with homely tangles of utility wires made ever more apparent, and residents, strollers and cafe diners seeking relief from unfiltered sunlight. Adding to our concern is the fact that the very people we would expect to lead the search and fight for better policy choices in our historic district, the leaders of the Stockade Association [SA], appear to be acquiescing in the tree removal policy, and even abetting tree removal by starting a sidewalk condition survey. [See “Update from Infrastructure Committee,” Stockade Spy, March 2016, at 6, for discussion of sidewalk issues, such as the preference of the Engineer’s Office for the No. Ferry Street process, and the Association leaders’ apparent acceptance.] The SA sidewalk survey is taking place despite the City Engineer cautioning that if they receive direct information about particular sidewalks needing repair or replacement, they will be forced to issue citations requiring immediate correction of the problem by the property owner. In 2010, this webpost called for “study, consideration and creation of an explicit policy on preserving our mature trees — by passing legislation, promulgating regulations, and/or issuing an executive order.” And, we noted that “Many other wise counties, cities, towns and historic district commissions have already done so.” Currently (April 2016), the City Administration is suggesting there is no urgency, because it has no budget for sidewalk repairs (despite all the bragging about large influxes of casino-related revenues). This fiscal situation could change at any time, but may nonetheless give concerned citizens time to put together a coalition supporting a Tree Preservation Policy for Schenectady. ▪ Safeguard the heritage of the City of Schenectady by preserving resources in the city that represent or reflect elements of its cultural, social, economic, political and architectural history. ▪ Protect and enhance the attractiveness of such historic resources to home buyers, visitors, shoppers and residents and thereby provide economic benefits to the city and its citizens. 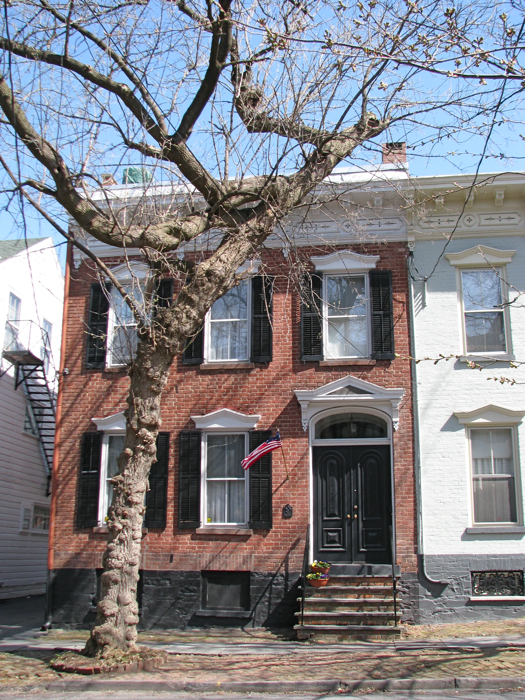 ▪ Conserve and improve the value of property within Historic Districts. ▪ Foster, encourage and advise the preservation, restoration and rehabilitation of structures, areas and neighborhoods. ▪ Promote the use of Historic Districts for the education, enjoyment and welfare of the citizens of the city. ▪ Foster civic pride in the beauty and history of the past as represented in the Historic Districts. 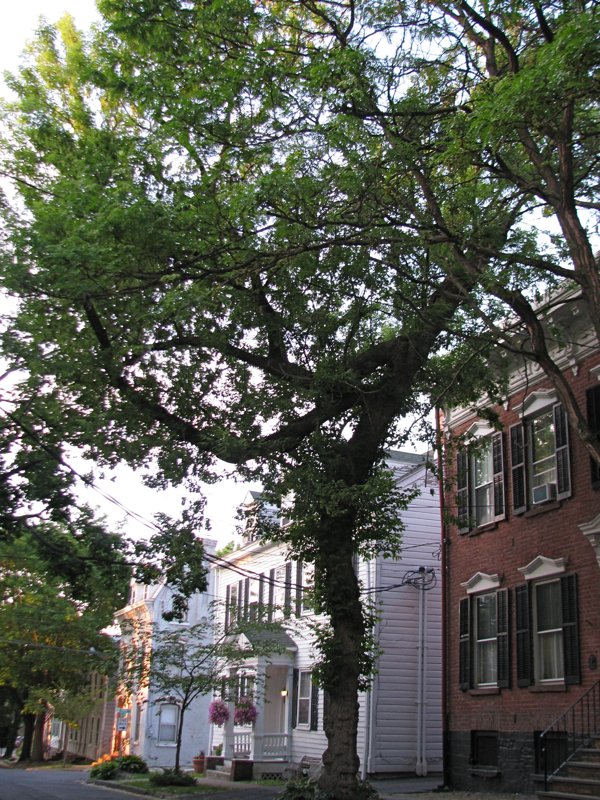 A tree preservation policy can help achieve many of the City’s Historic preservation goals. As seen in excerpts from our Municipal Code, §264-74(B), printed below as Appendix Five, the Schenectady Historic Commission has the power to investigate and report upon matters before the City boards and departments, and to undertake surveys and studies, and make resultant proposals for regulations and special conditions and restrictions, “as may be appropriate to serve the purposes of this article.” Importantly, to assist the Commission, it may “may retain such specialists, consultants or experts to aid in its duties and to pay for their services and call upon available City staff for technical advice.” It is our hope that the members of the Historic Commission, with assistance from the staff of the planning and Engineering departments, will play an important role formulating, advocating and eventually implementing a Tree Preservation Policy for our City’s historic districts, with any such policy serving as a model for a City-wide tree preservation policy. Portland’s urban forest is a valuable functional and aesthetic asset that is vital to the livability of our community. . . . Trees soften and beautify the city landscape, offer habitat for wildlife, and provide essential ecosystem services such as capturing runoff, removing air pollutants and CO2, dampening noise, and modifying temperature extremes. The regular care and maintenance required by urban trees is a small investment relative to the large returns they provide – for publicly owned trees, less than $1 invested returns over $3 in benefits. 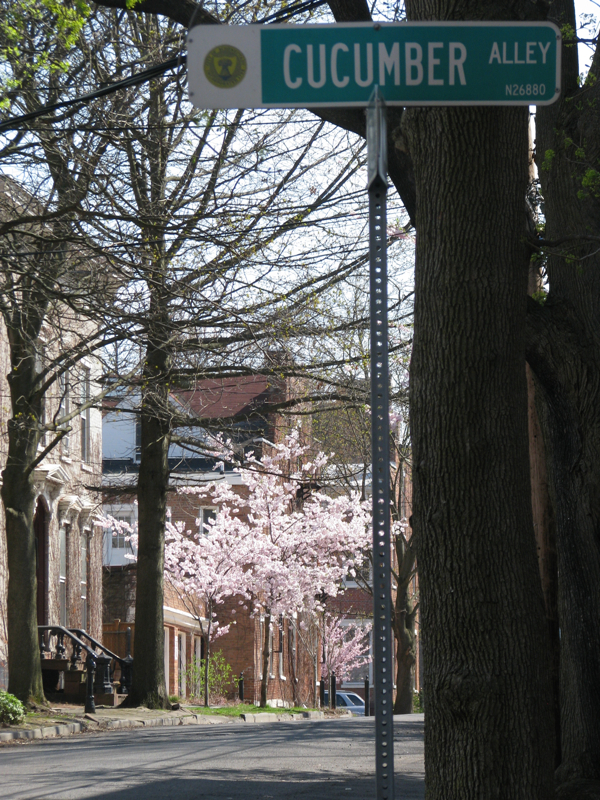 nationally, the 60 million street trees have an average value of $525 per tree. RESOLVED that the City Council directs City Departments to review their relevant documents and procedures with regards to these Street Tree Policies, to incorporate these Policies into planning, operations, and permitting decisions, and to arrange presentations of the Department’s revisions affecting Street Trees to the Board of Public Works within six months. The City of Schenectady needs such a uniform policy regarding the preservation of healthy mature trees. The policy should cover its own departments and contractors, as well as private citizens and property owners, and should insist that, unless a tree is dead, dying or dangerous, alternatives to tree removal must be fully considered and employed, except where no viable alternative exists. 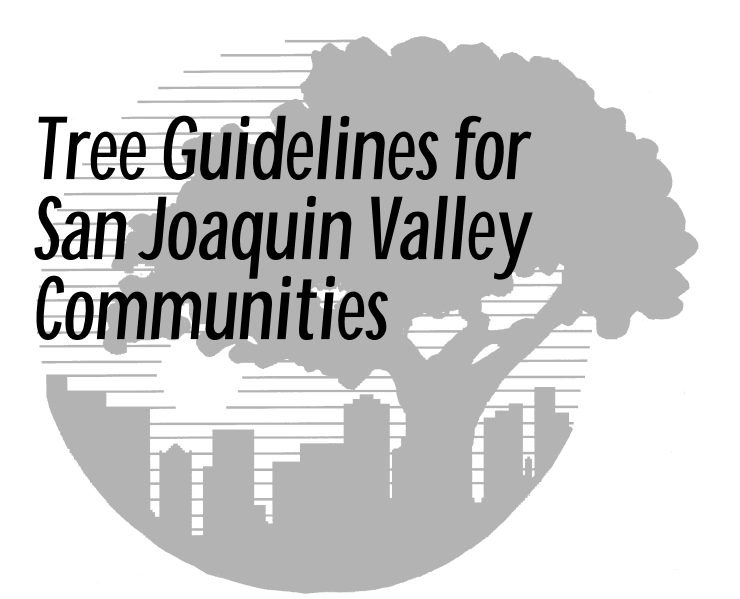 Tree Guidelines for San Joaquin Valley Communities (March 1999) This excellent, comprehensive study is excerpted at length in our posting “why worry about our large street trees“, and in “sidewalks vs. trees“. Municipal Research and Services Center (MRSC), a nonprofit organization in Washington State, provides a very useful resource on its website, reproducing the monograph “Sidewalk and Roots: Mitigating the Conflict—An Overview” by Gordon Mann of Auburn, California, which states: “[W]henever possible, we try to retain the existing larger trees while making a repair or create better space for larger trees in the future,” and goes on to present descriptions of alternative and innovative solutions to tree removal, mentioning the advantages and disadvantages of each process or material. Also see, e.g., Terrecon’s Rubbersidewalks; a similar product at Rubberway; and “New Rubber Sidewalks Tested in 60 Cities” (NPR, August 4, 2006). Conclusion: As the cursory survey above shows, there are many models available to our city and community leaders, the Historic Preservation Commission, property owners and other residents, as the City studies the issues, gathers facts and opinions, and promulgates a tree preservation policy and related laws. This process, therefore, could take months, not years, and should be used to protect our healthy trees before ill-conceived deforestation causes literally irreparable damage. In the meantime, I hope a Deforestation Moratorium will be put in place voluntarily by the Mayor or through City Council action. follow-up (April 4, 2016): Click on the image to the left to see our collage No. 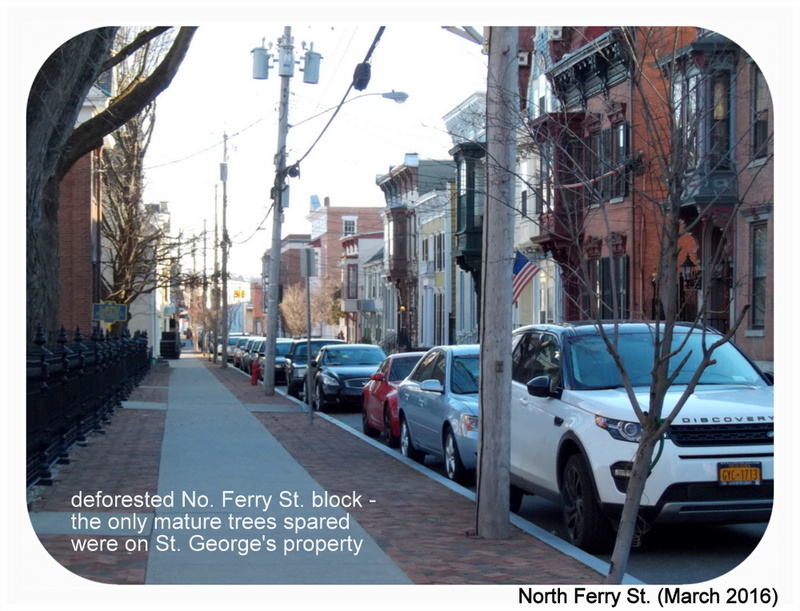 Ferry St. Deforestation, a set of before and after photos.
. . . p.s. If the grand trees in front of St. George’s Church on No. Ferry St. had been alongside the curb and not a few feet away on the Church’s front lawn, they would also have been removed. “We have confirmation that the City is not paving Washington Ave. this season, but does intend to do the project next year (2011). This information is from Carl Olsen, Commissioner of General Services, who oversees paving projects for the City. “Although disappointing, postponement affords more time for planning which should result in a better project. . . .
Gloria also informed us that an arborist who took an informal look at the Washington Avenue trees concluded that many of them would not withstand the root loss that would result if the City were to dig up the road bed, curbs, & existing sidewalks and medians. Gloria suggests Googling sidewalk and trees to find out more about the problem of tree roots impacting sidewalks. For example, see this L.A. case study. 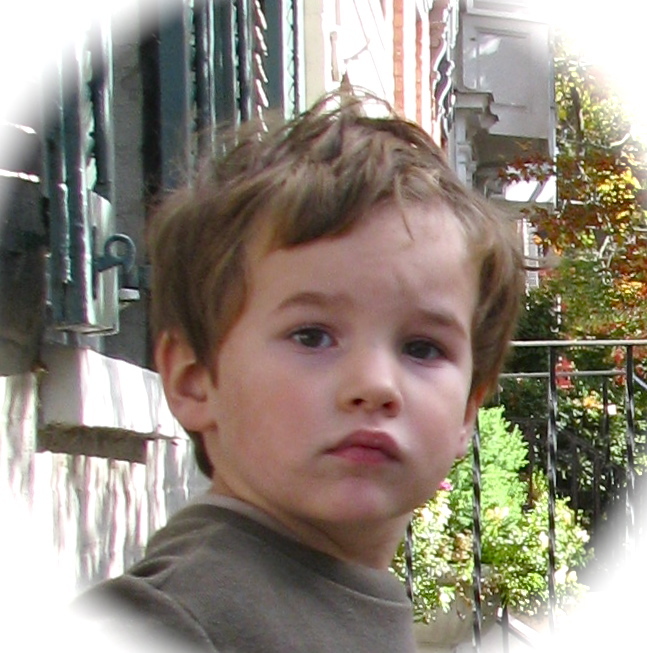 update (June 18, 2010): See our post, “No. Ferry St. lessons said to cause repaving delays,” about today’s Schenectady Gazette article “Sidewalk talks delay paving of Washington Avenue in Schenectady” [must subscribe, register for access to article], by Kathleen Moore. Fifteen property owners and residents of Washington Avenue met last night (Sunday, April 18) at the home of Bob and Sylvie Briber to discuss the repaving of the street. I am very happy to report that there was a quick consensus among the group that we attempt to save as many trees as possible. The group also agreed to bring in a private arborist to help evaluate the trees. Gloria Kishton, President of the Schenectady Heritage Foundation, chaired the meeting (quite ably), and the Foundation’s Vice President, Rob Petito, acted as the conscientious scribe. Gloria and Jack MacDonald are jointly serving as intermediaries between the City Engineering Department and Washington Avenue property owners on the repaving project. Jack, a civil engineer familiar with the City’s procedures with construction projects, gave information on the project’s history and processes. Despite the rather surprising consensus on the trees and other issues, I will admit that there was not complete agreement over whether the glorious box elm tree pictured at the head of this paragraph is a “good tree” worthy of being saved. By now, you know my opinion on saving that glorious woody plant. 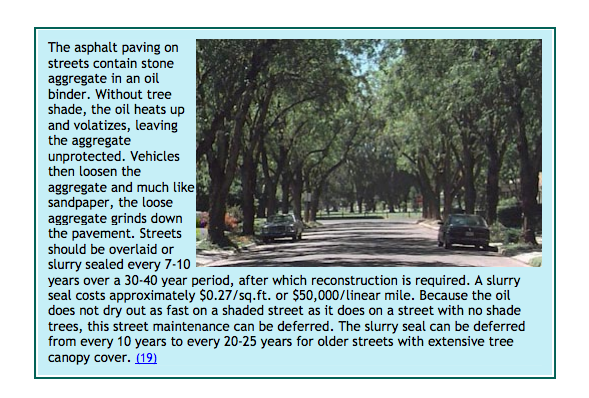 As discussed below, the City of Schenectady plans to remove the large Washington Avenue trees that are pictured in this posting, while repaving the street and repairing the sidewalks this Spring or Summer (only the new, small, decorative trees would be left). Click on a photo for a larger version and scroll over it for a description. update: (April 15, 2010): Early this afternoon, I filed a Freedom of Information Request [FOIL], supplemented with a second Request around 4 PM, at City Hall concerning the repaving and repair of the street and sidewalks of Washington Ave. Go below the fold at the end of this posting for the wording of the FOIL request and the City’s response. About ten days ago, at a meeting of Washington Avenue owners and residents with the City’s chief engineer, I first learned that the City of Schenectady’s engineering department was planning to remove all large trees located between the sidewalk and curb on Washington Avenue, as part of a project to repave the street and repair the sidewalks. The trees would come down whether they were healthy or not, despite the condition of the adjoining sidewalk, as all sidewalks would be taken up and replaced regardless of their condition. 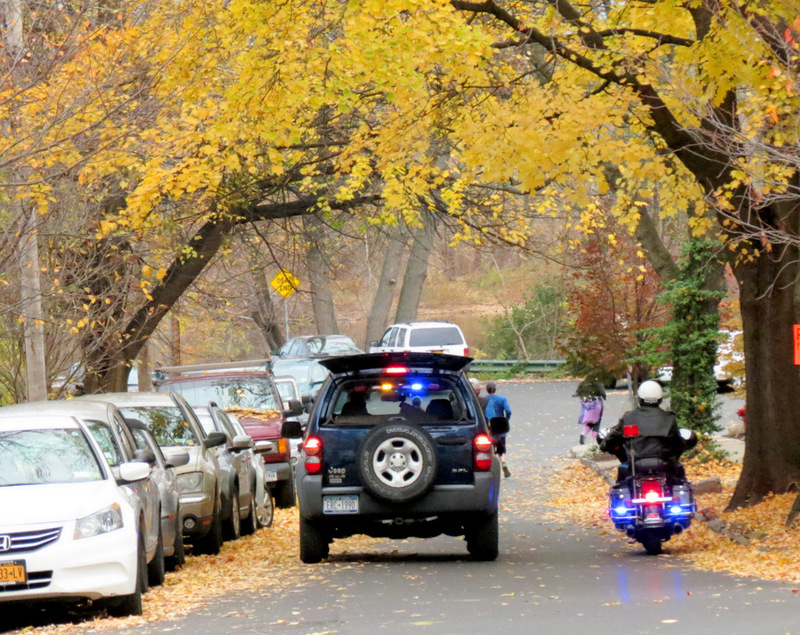 Short of fire-bombing or similar criminal or terrorist acts, nothing more drastic could be done to alter the beauty and ambiance of any neighborhood than taking down its shade trees, especially where there are sufficient trees to form a canopy over the street. It seems especially irresponsible to perpetrate such urban deforestation in an historic district that has special protection against any change in the appearance of its streetscape. Stockadians and lovers of the neighborhood, please pause to consider what has already happened on No. Ferry Street (for sample photos click). Now, keep in mind that the City plans to go block by block throughout the Stockade with this paving and repairing project. We need to change the policy before more trees are needlessly removed. 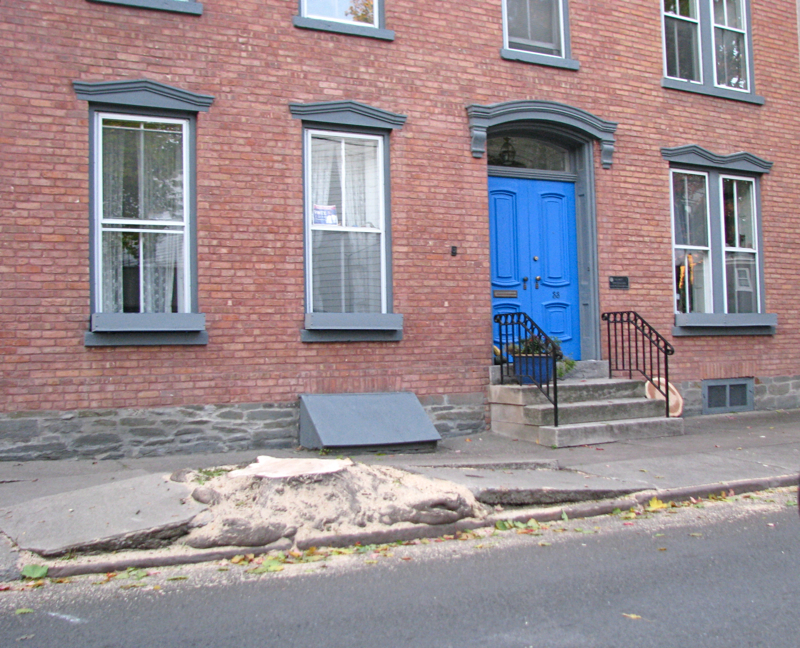 Also, note: The current plan of the Engineering Department is to remove all sidewalks, to be replaced with either tinted concrete or — at he homeowner’s request and expense — the anemic bluestone that can be seen on No. 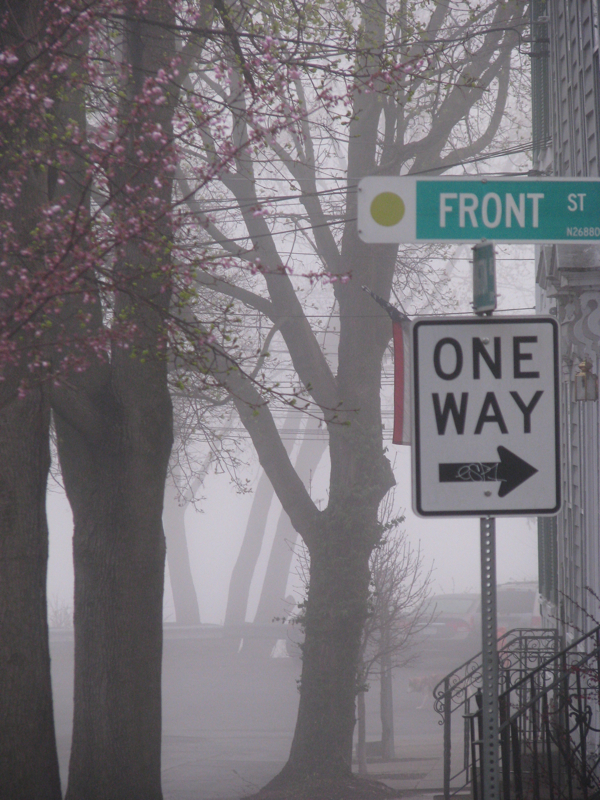 Ferry St. (at the Widow Kendall house, for example). Existing slate will not be put back once regrading is done. 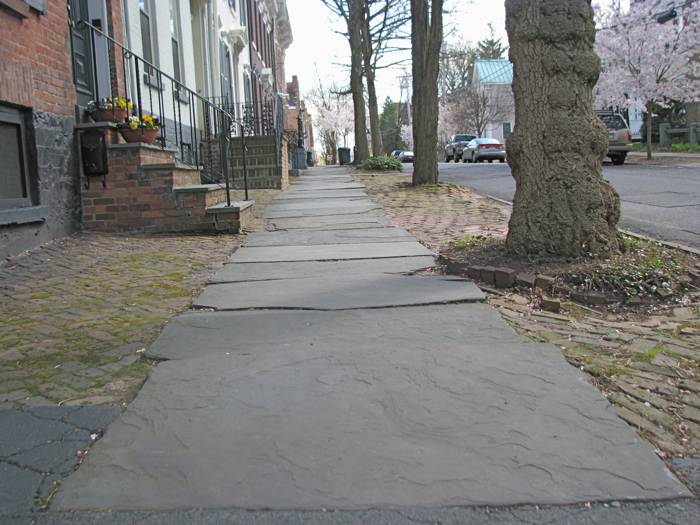 Preserving slate sidewalks is another very good reason (beyond saving trees) to ask the City to consider each stretch of sidewalk separately. My hope is that the City will, instead — like many municipalities around the nation and world — consider all alternatives and make every reasonable effort to preserve every healthy tree. We were told on Thursday April 1st that the requests for bids would go out in a week or two. 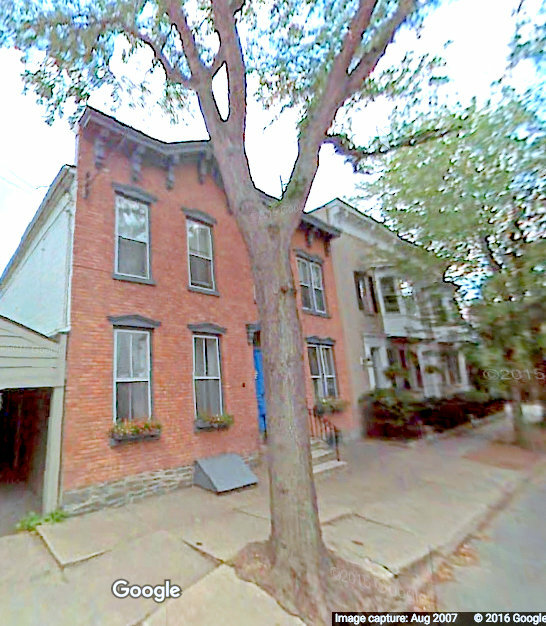 The City should halt the project before bids are requested, and ask the Schenectady Historic District Commission to study and make proposals about the preservation of trees (especially related to actions by the City). I believe the Stockade Association should be on record urging the City to make every effort to preserve healthy mature trees. The Commission may initiate a study or make recommendations for new policy, laws or regulation, and it should do so, if not specifically requested by the City. . . Stockade-athon 2009 . . .
Is this box elder .. . . . too ugly to live? . . . Instead of jumping at the chance to keep his tree, the owner of the above unique, glorious and healthy tree (seen in several shots in this posting) said he was glad to have it taken down because it was ugly. [Box elders, formally named acer negundo, is also called a maple ash.] Other owners in that row also said they would not mind having the tree taken down in front of their houses — one because it put leaves on his roof and in his gutter, and another because its branches touched the house, and it was not a very grand tree. 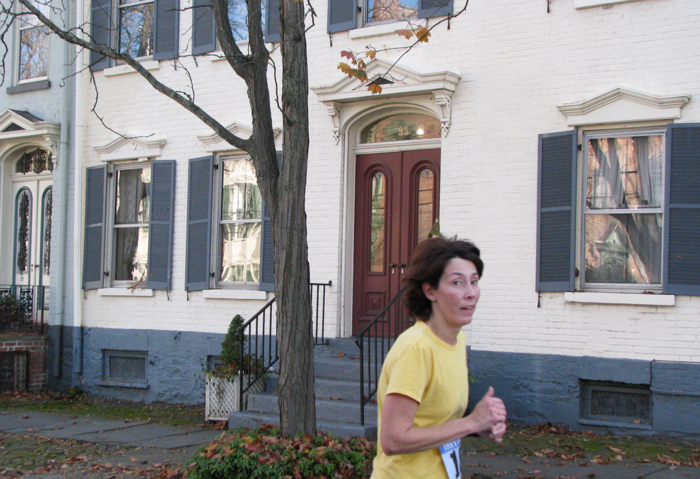 Of course, Historic District homeowners can’t take a shutter off the front of their homes without getting permission. Yet, the homeowners were willing to have a large mature, healthy tree removed forever for some rather underwhelming or frivolous reasons. Their say is apparently final according to the head of the repaving project. The fate of these trees should clearly not be up to a single property owner. 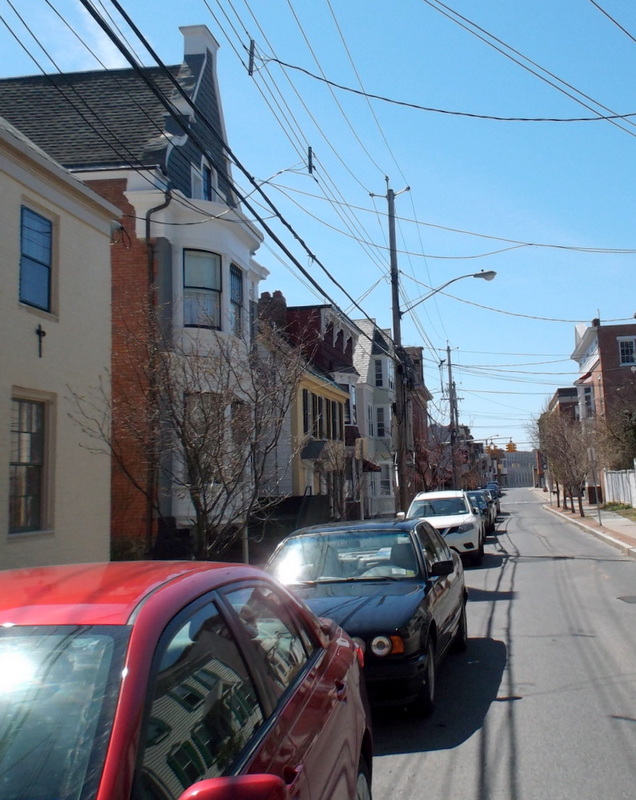 The interests of the entire block and the whole Stockade District (perhaps with input from the Historic District Commission) must be given great weight. The City is certain to claim fiscal reasons for asking construction crews to merely plow up all the sidewalks and mow down all the trees. Of course, that assumes it’s is cheaper to do the blunderbuss approach, taking up all the sidewalks, rather than leaving significant stretches of sidewalk alone because they do not need drastic repair or because a moderately-needed repair is simply not a good enough reason to take down a mature shade tree. 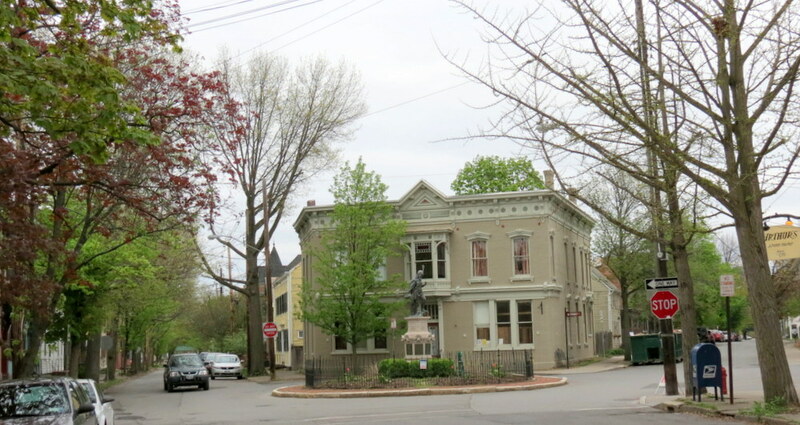 More to the point in an historic district: an added expense in order to preserve an important structure, place or streetscape is considered a small price to pay to maintain the character of the district. Your comments are welcome on either side of this issue, but no personal attacks will be allowed and civility is required. update (May 29, 2010): Washington Avenue looks pretty good at the end of May 2010, with leaves on all the trees. Check out the posting “around the block around sunset” at suns along the Mohawk. FOIL REQUEST: As noted above, I filed two Freedom of Information Law requests at City Hall on April 15, 2010, seeking the following records relevant to the repaving and repair of the street and sidewalk on Washington Avenue(April 15, 2010): Below you can find the wording of those requests with discussion of the City’s response.